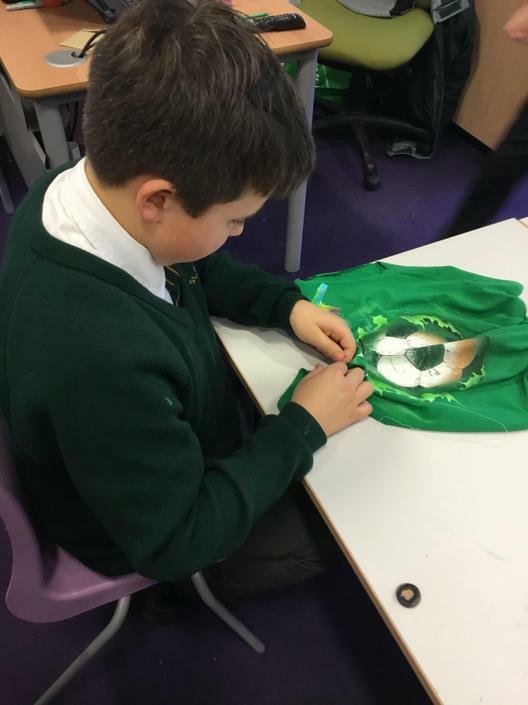 Please see below the PowerPoint for the our Celtic Harmony trip, including the kit list, information for making Celtic costumes and how to produce a waste free packed lunch. 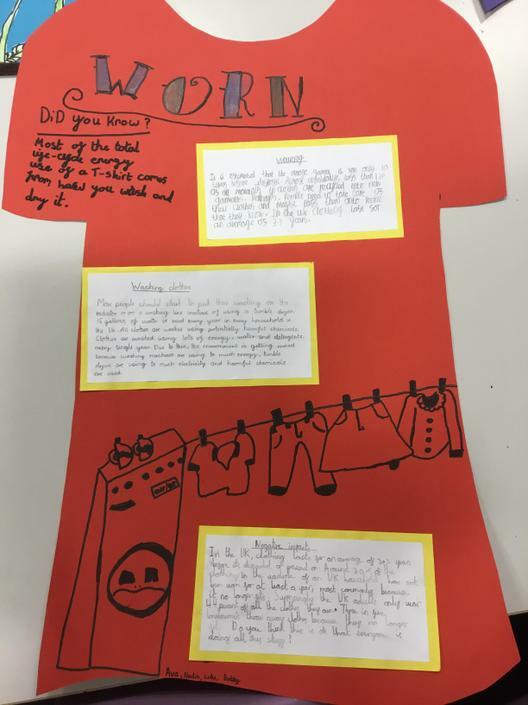 Each week, the home learning will be handed out on Friday and linked to our learning during the week. 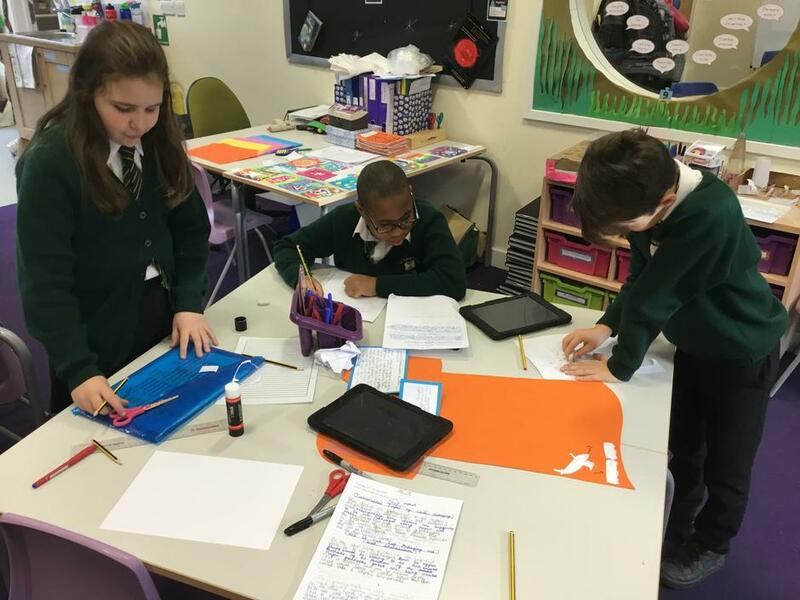 In addition to a weekly maths task, they will receive either a grammar, spelling or reading comprehension. 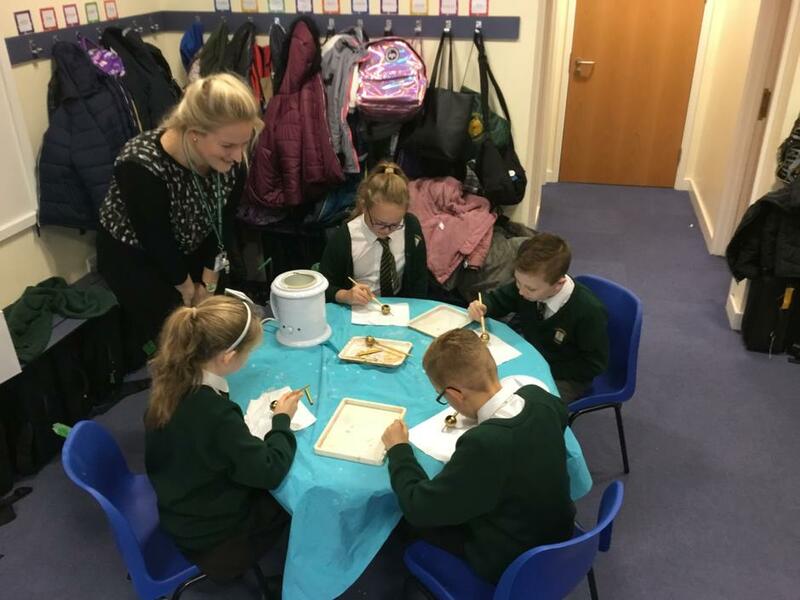 The children should be able to complete these independently but if they need support, they should seek help from Miss Elliman or Mrs O'Connell prior to Thursday when the home learning is due in. 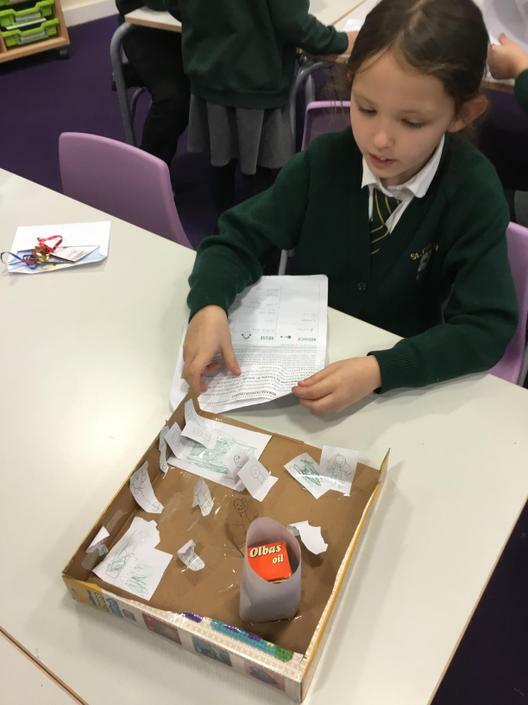 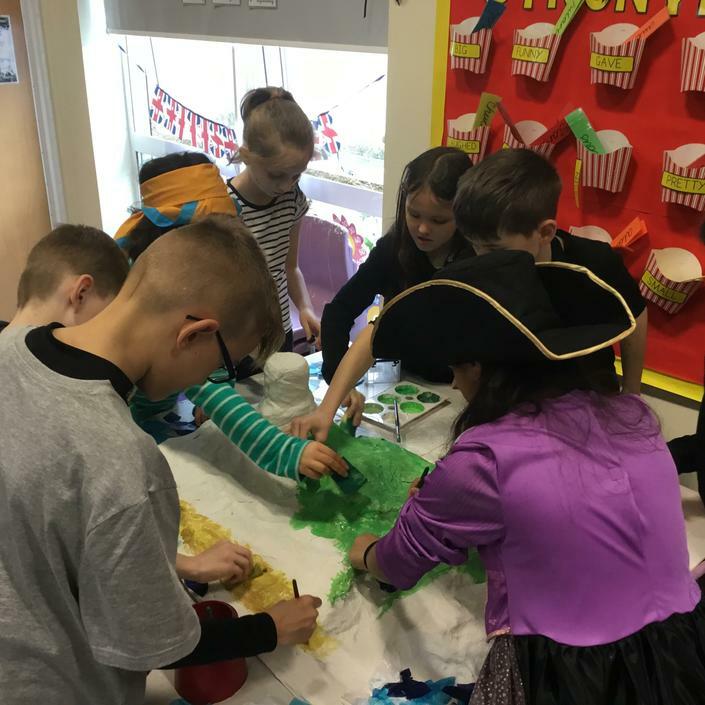 As we have been studying Treasure Island this week, we kept it as our focus for World Book Day and used it to explore our visualisations of what we thought Treasure Island would be like. 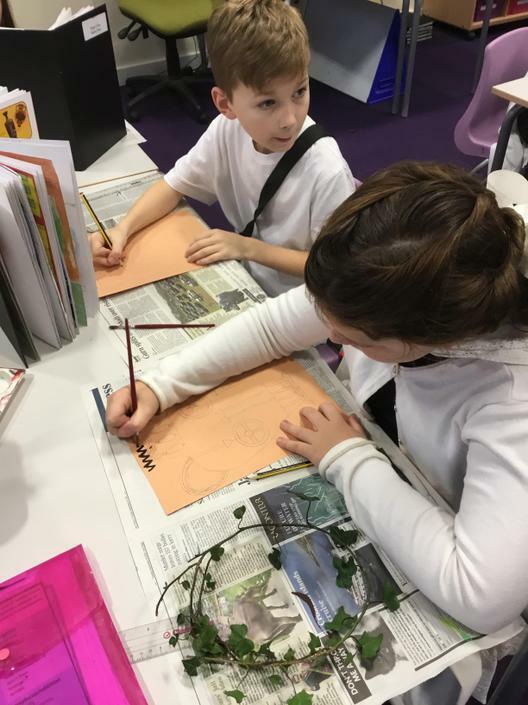 Initially, we read the text and used the description to draw our visualisations of the island and the lagoon. 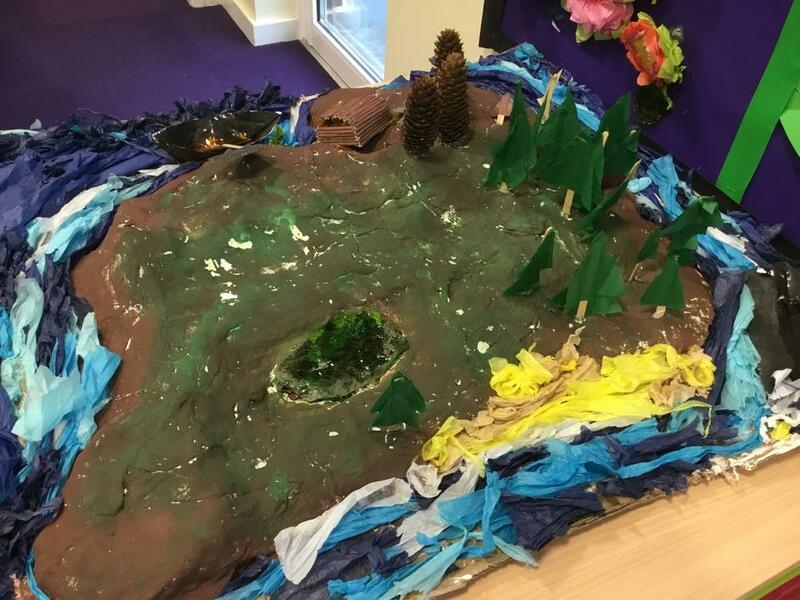 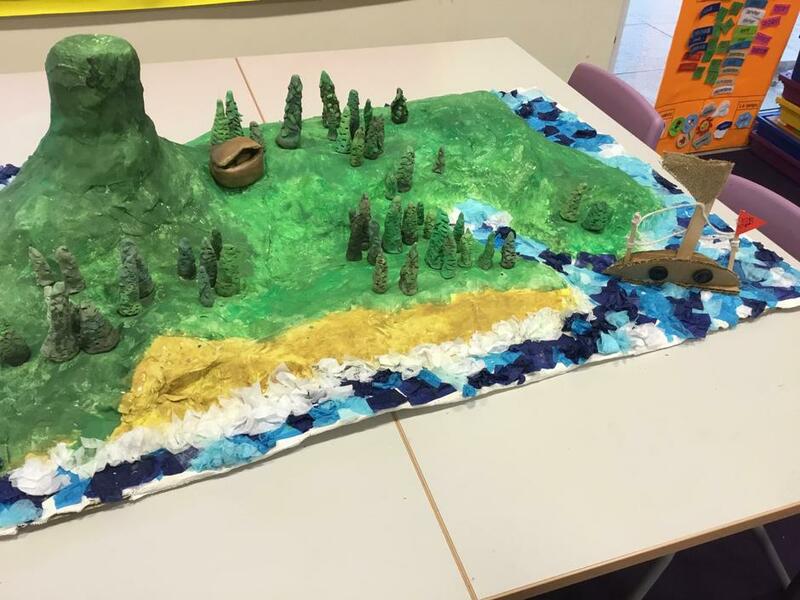 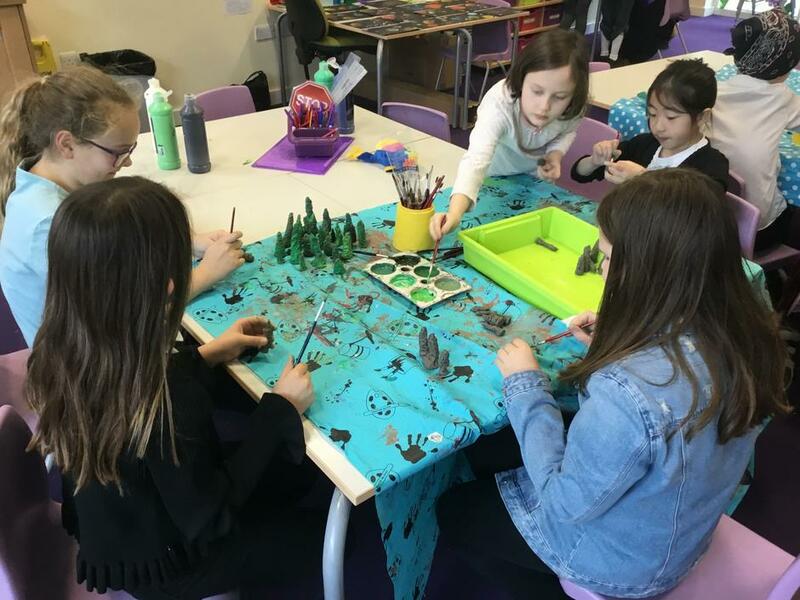 We then got to work creating our very own class versions of the island, using ModRoc, clay and other materials. 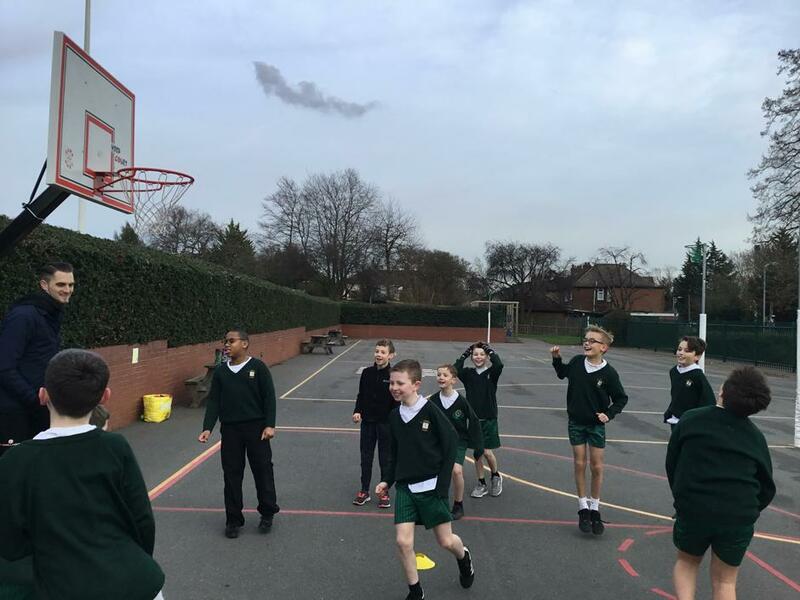 Basketball Stars of the Future! 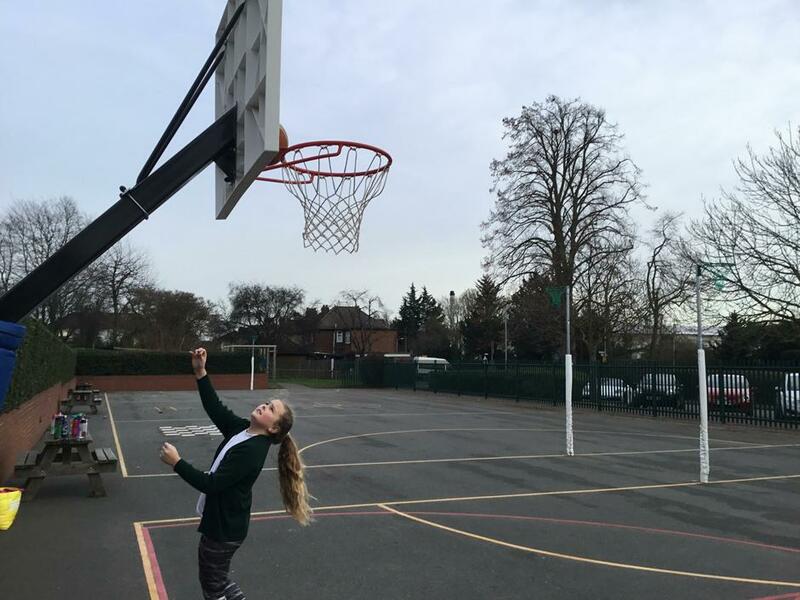 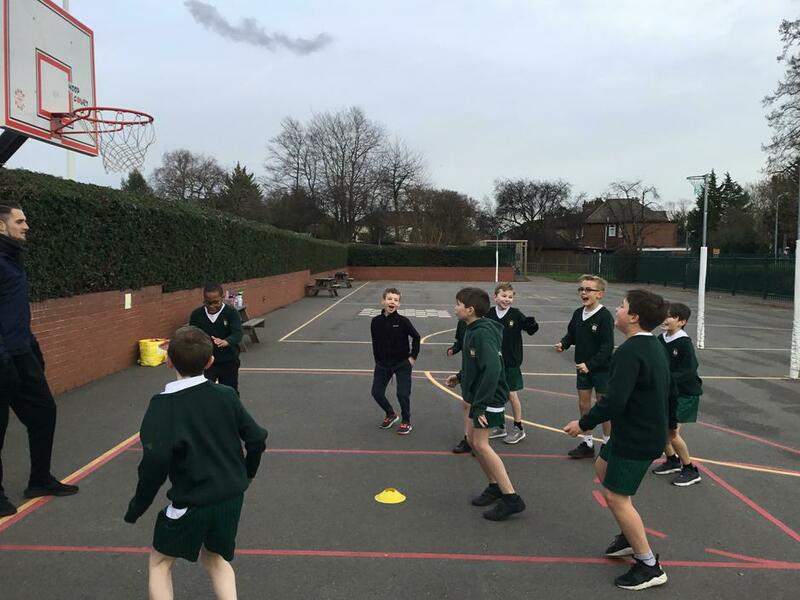 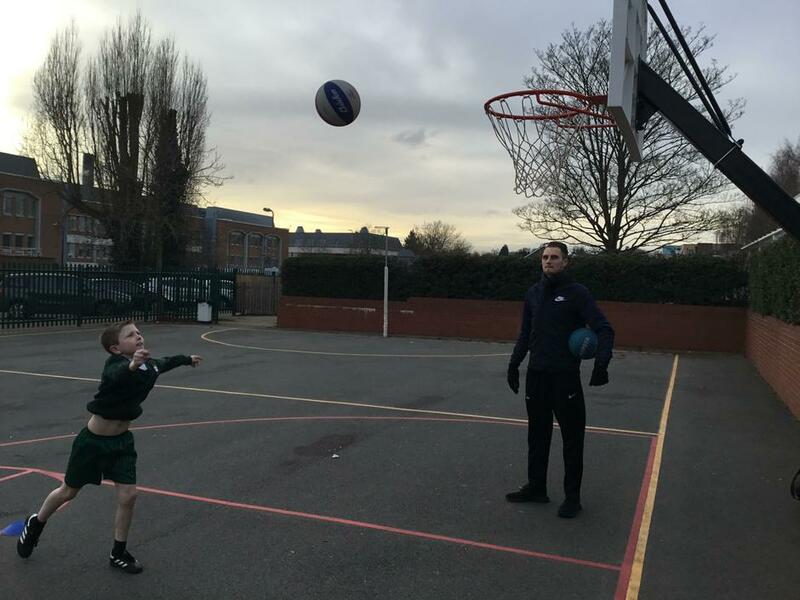 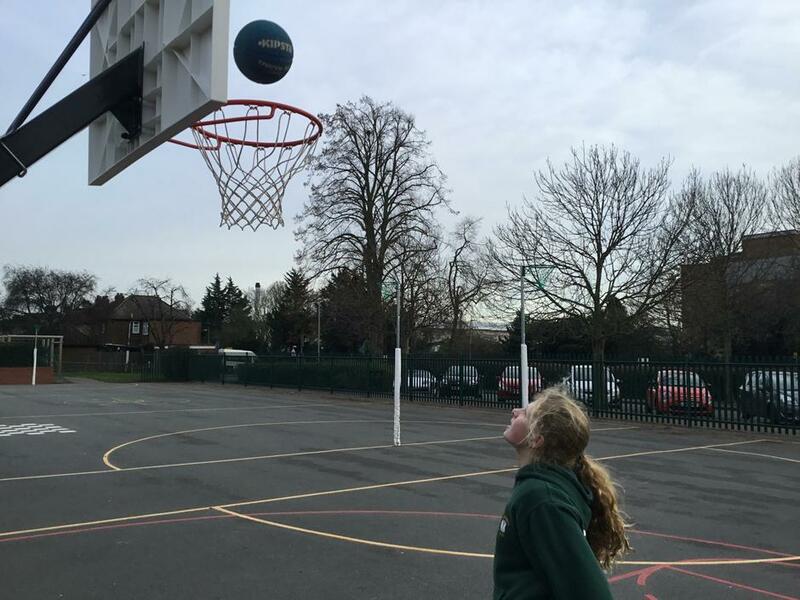 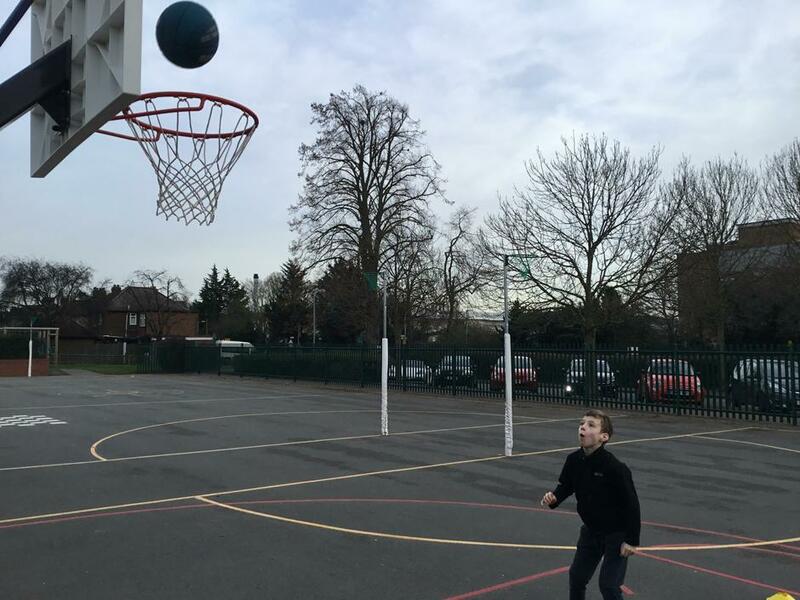 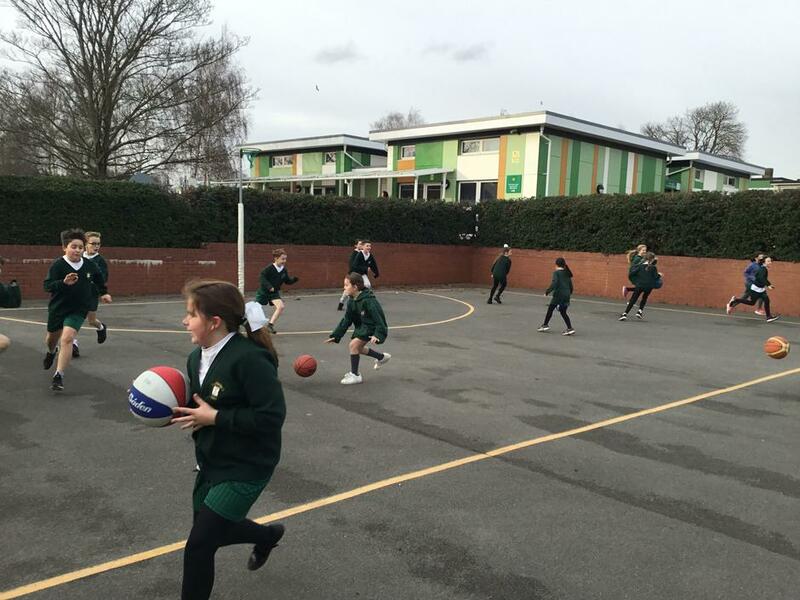 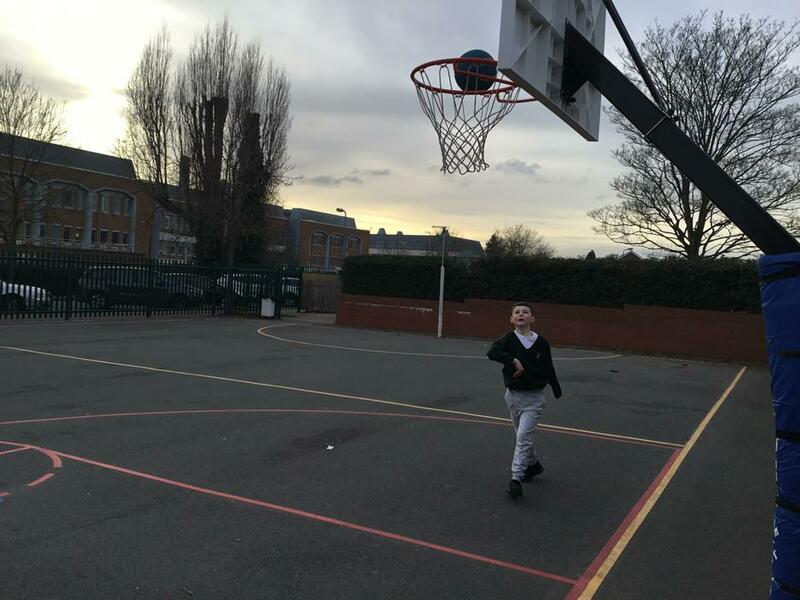 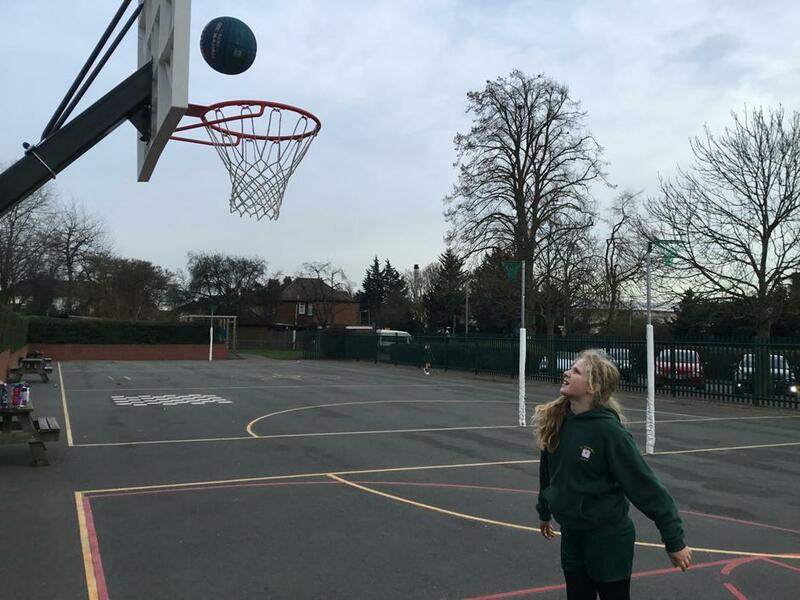 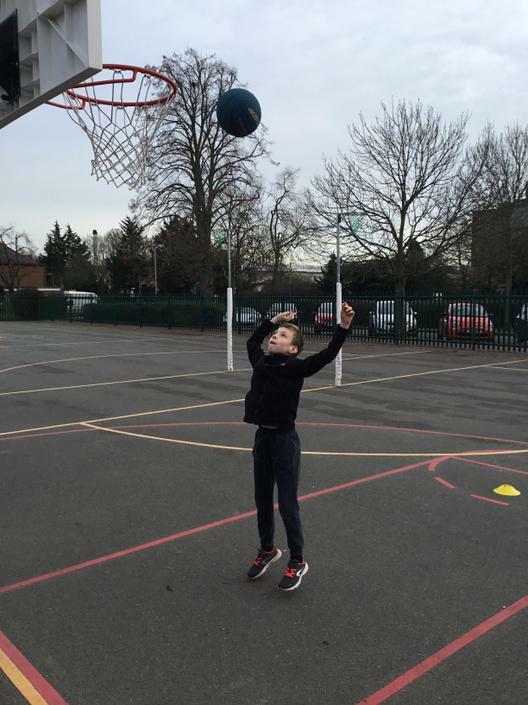 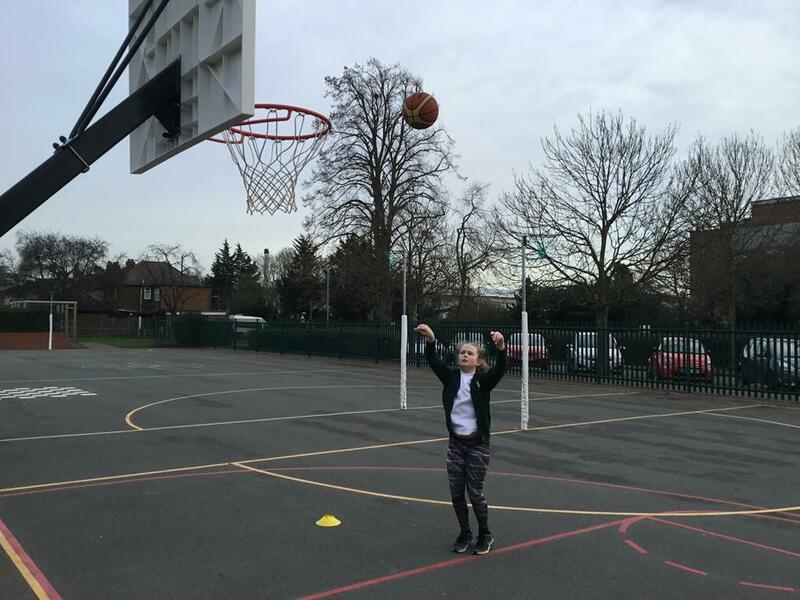 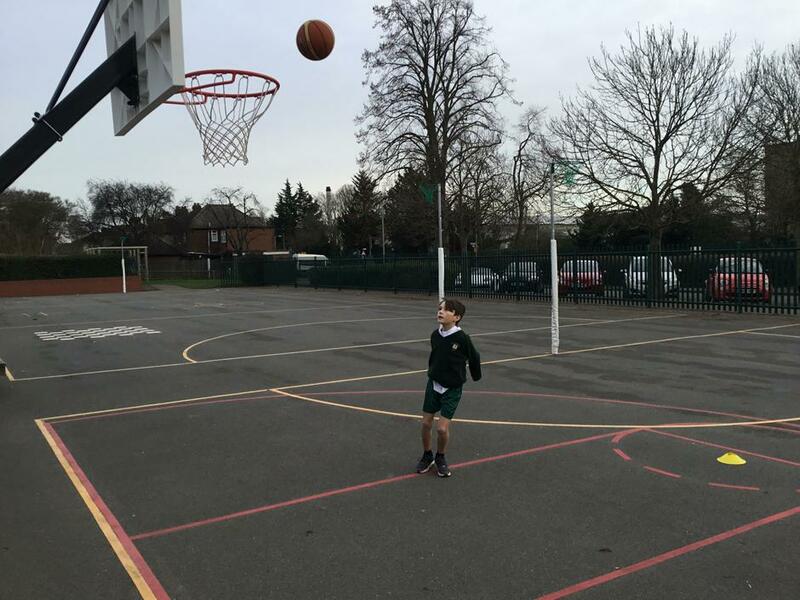 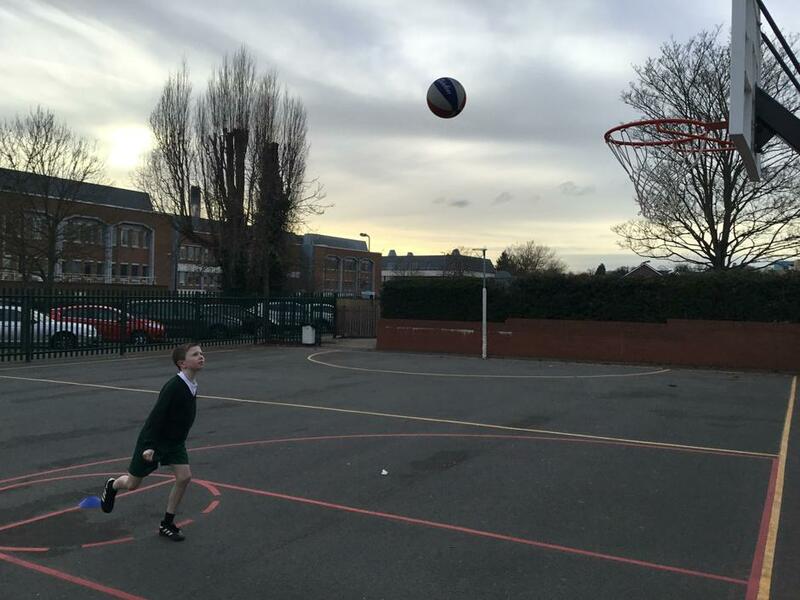 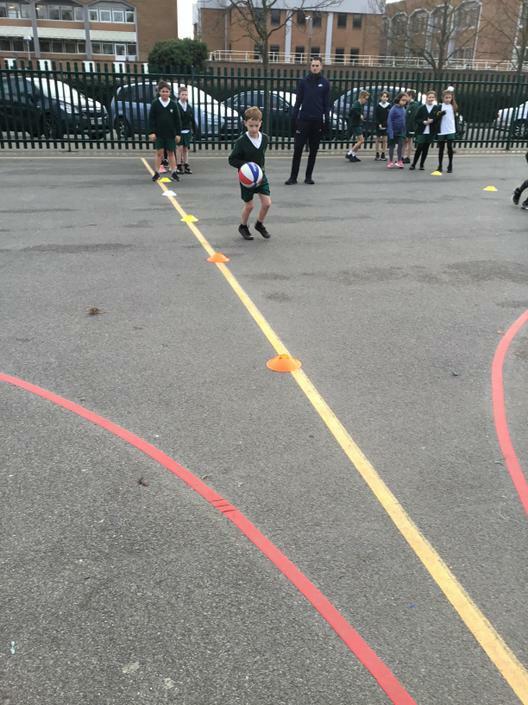 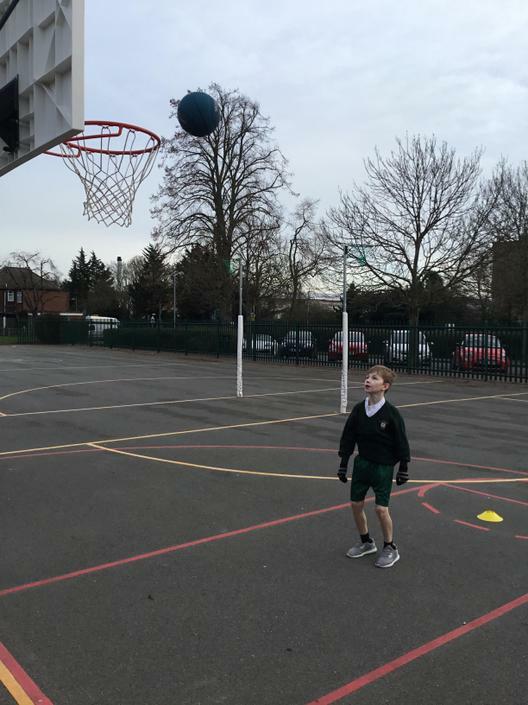 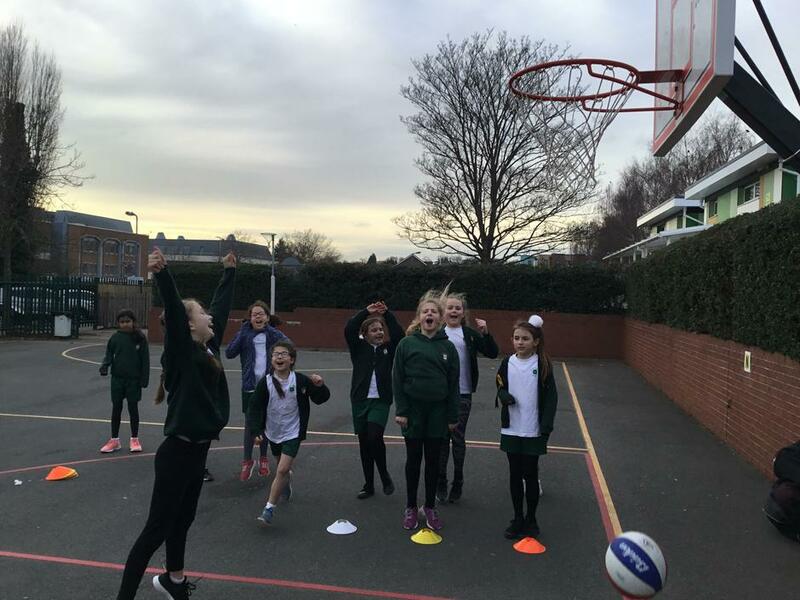 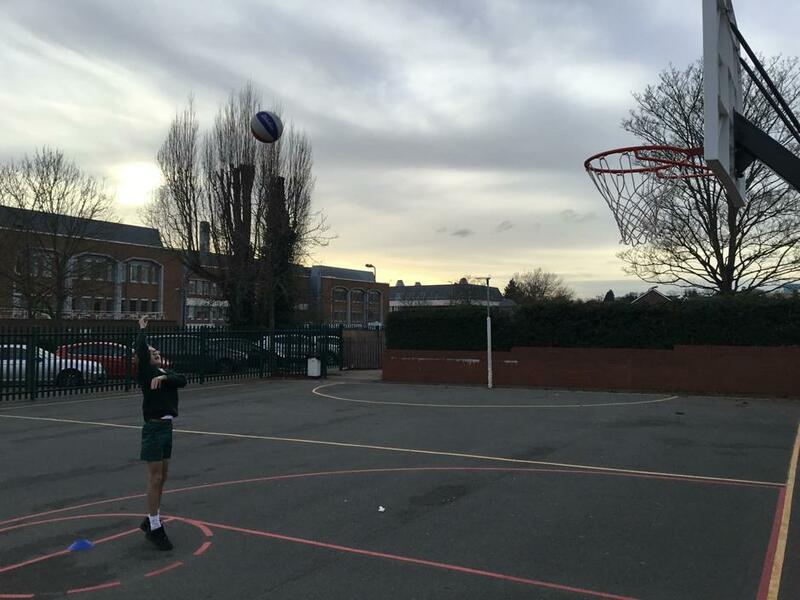 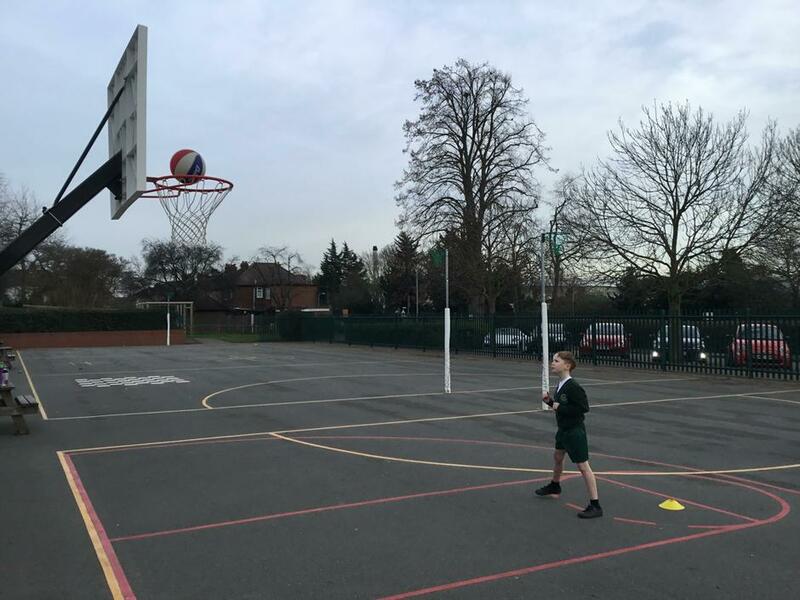 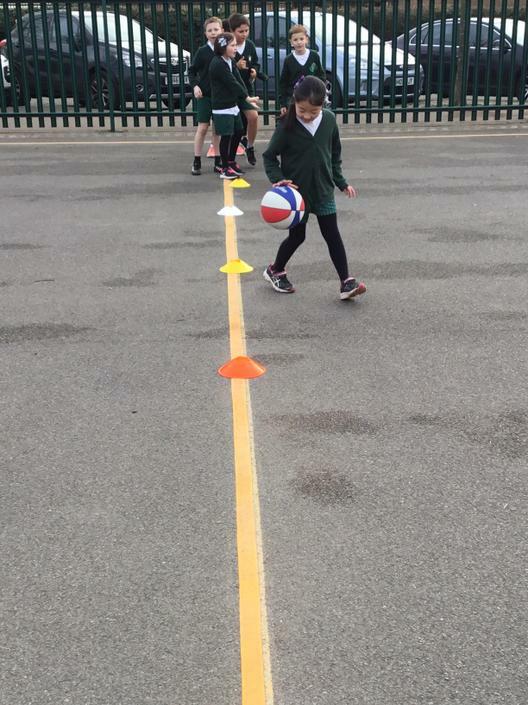 5E are having weekly basketball training sessions with Russell Hoops this half term. 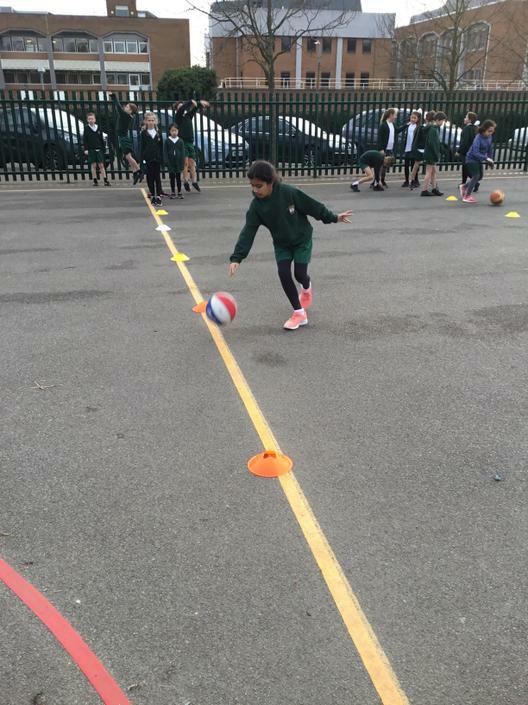 They've learnt so much in two weeks and have demonstrated some amazing skills already! 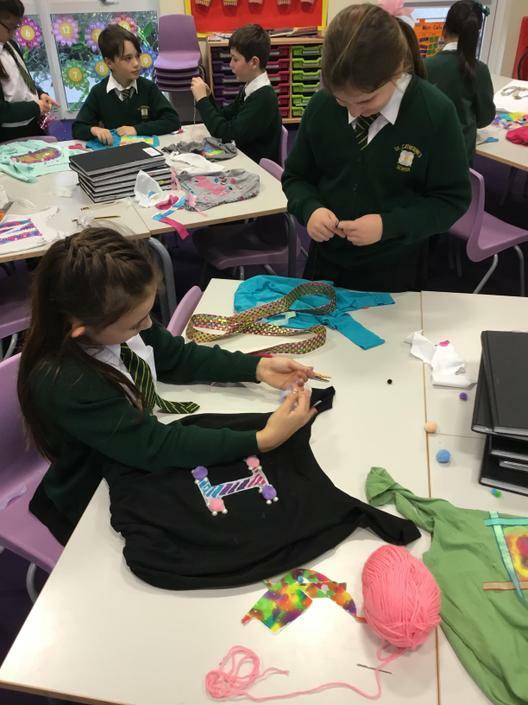 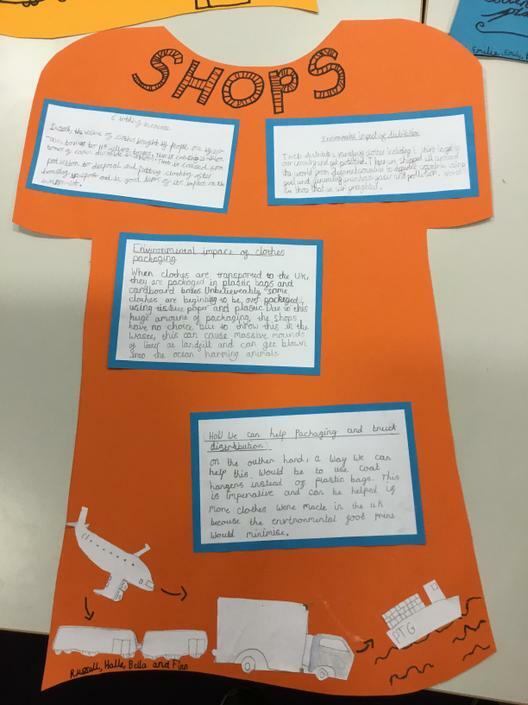 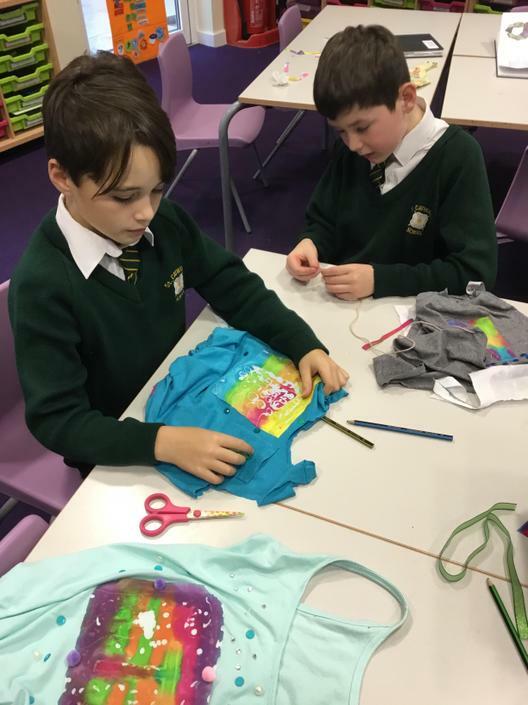 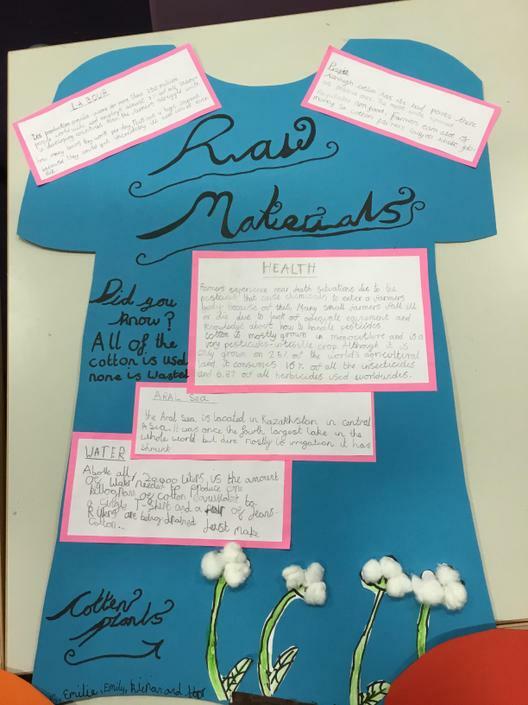 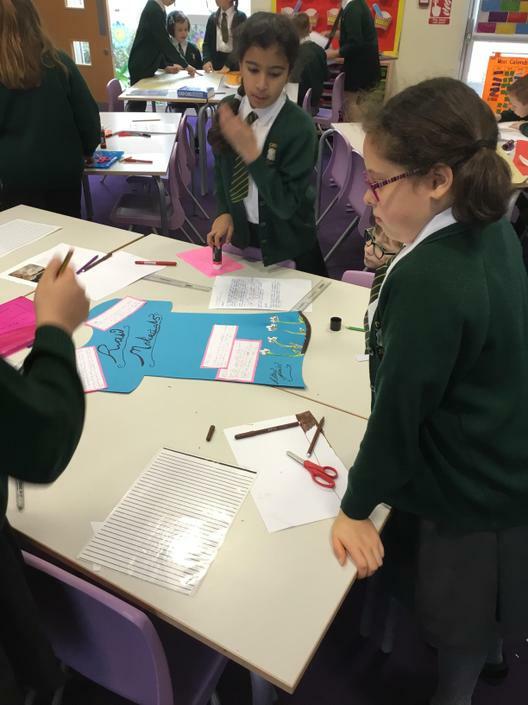 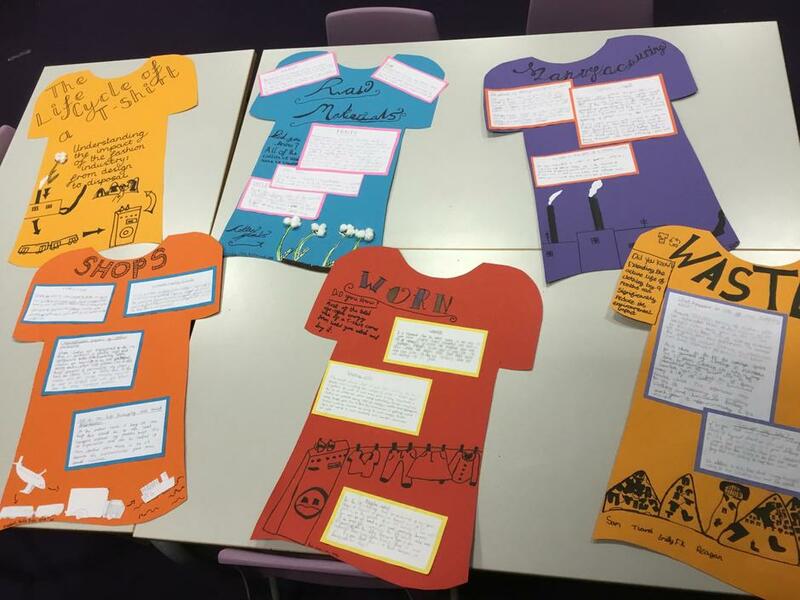 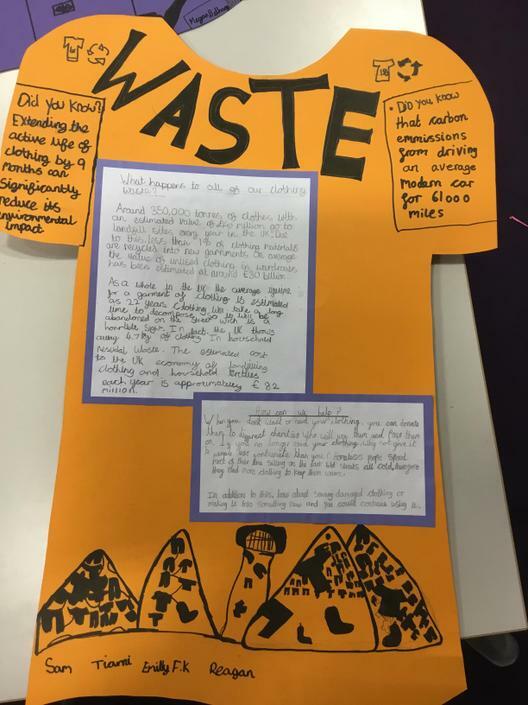 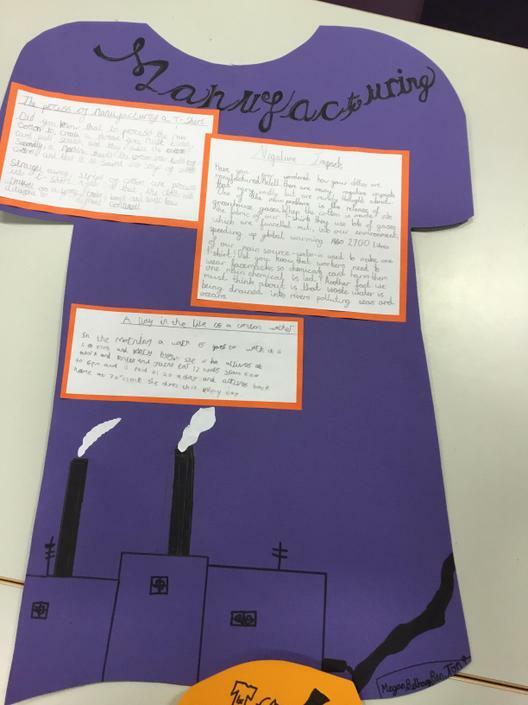 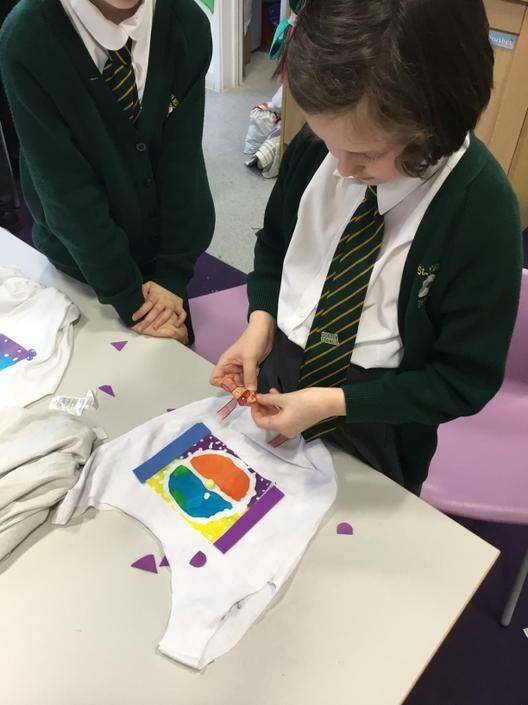 During Environmental Awareness Week, Year 5 focused on the topic of 'Fast Fashion'. 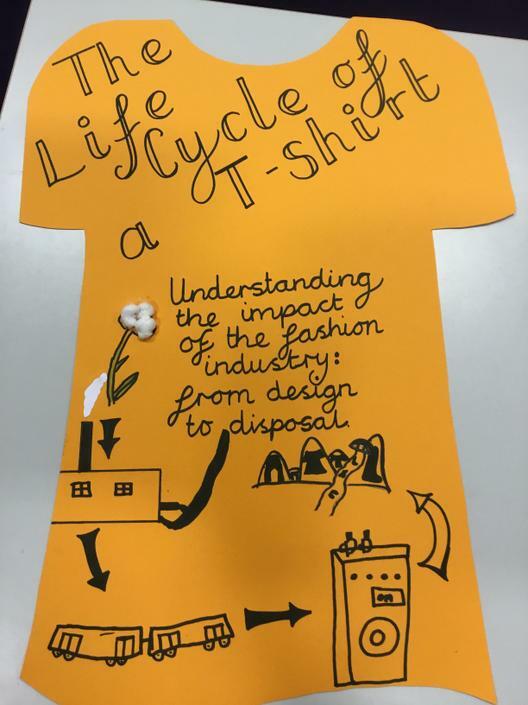 Having researched and written about the 'Life cycle of a t-shirt', we then turned our old and unwanted t-shirts into tote bags. 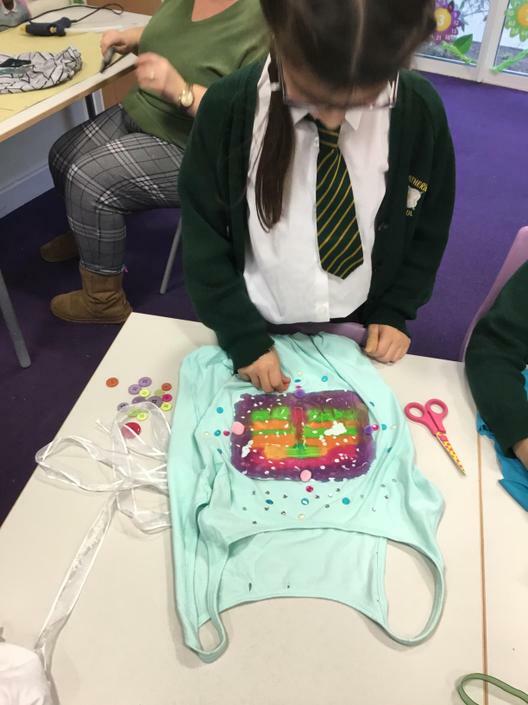 We used skills such as batik and embroidery and added embellishments to our bags. 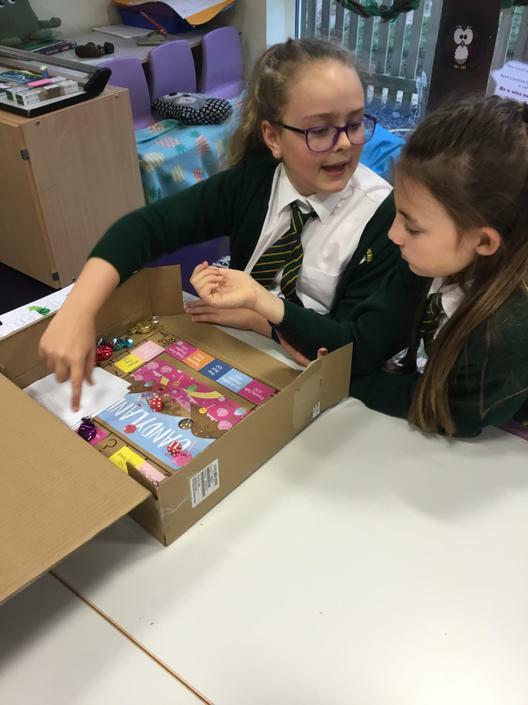 Other events across the week included a whole school litter pick, a zero-waste lunchbox day and a minimising waste in class competition (of which 5E were joint winners!). 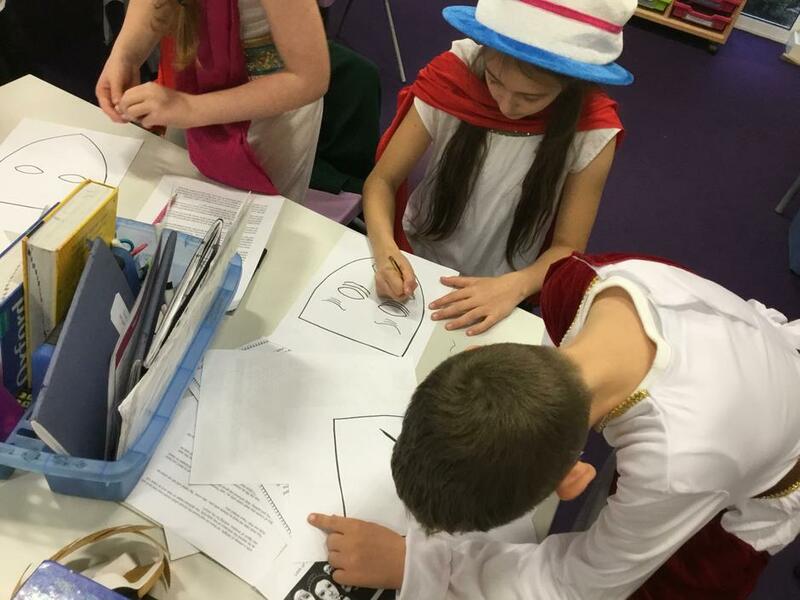 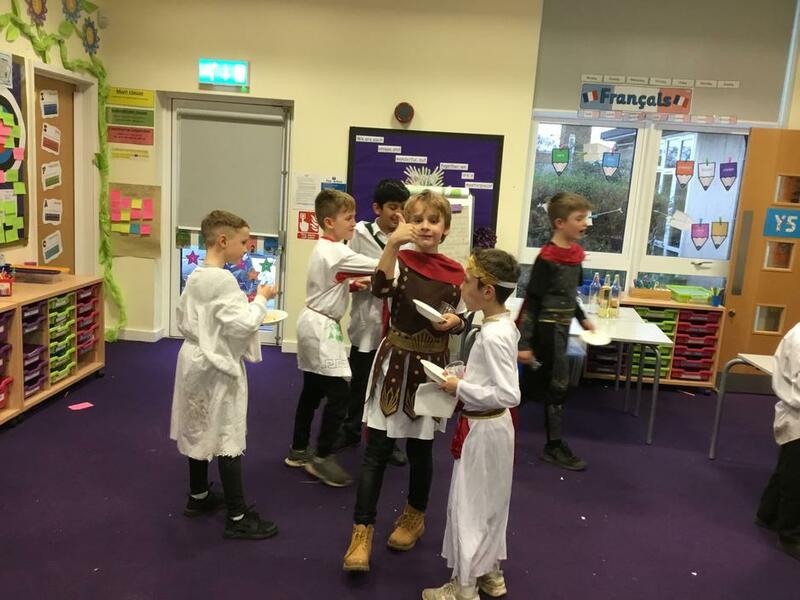 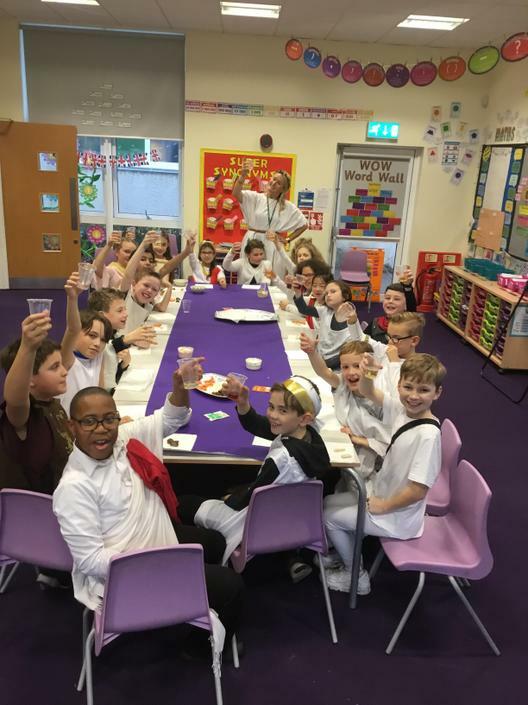 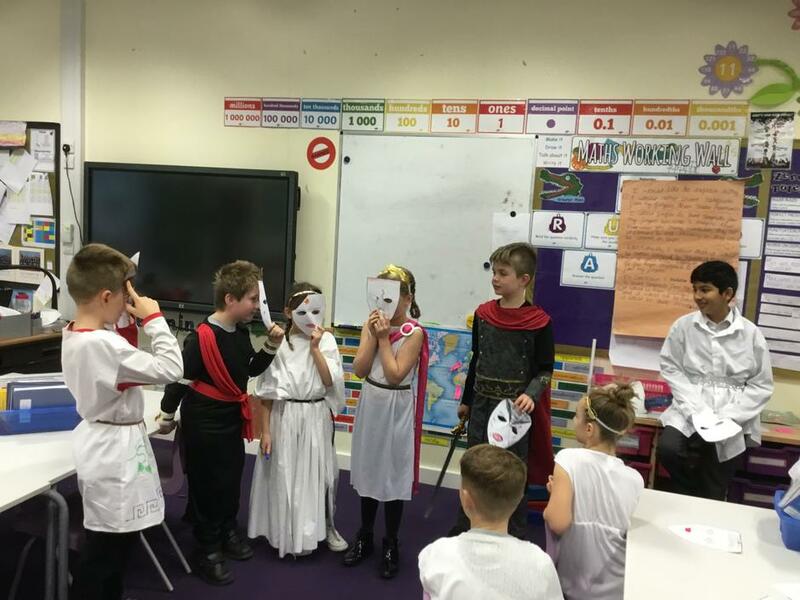 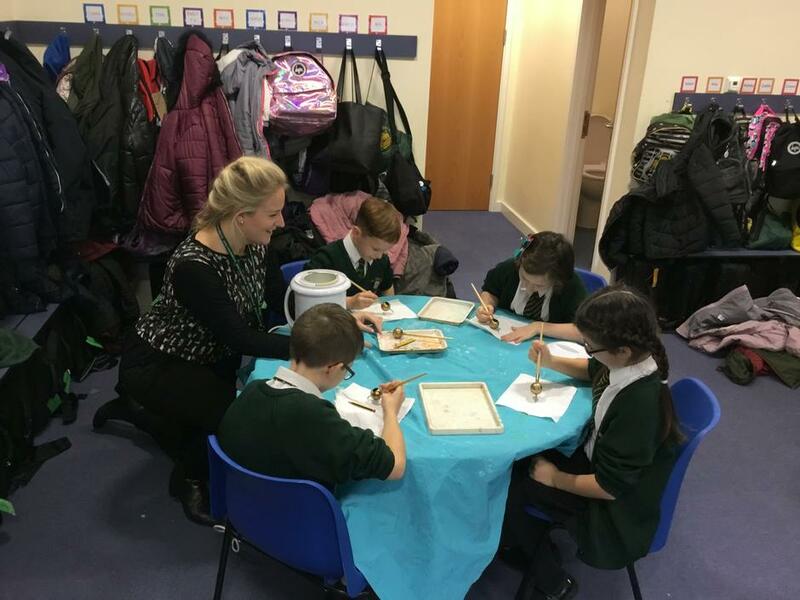 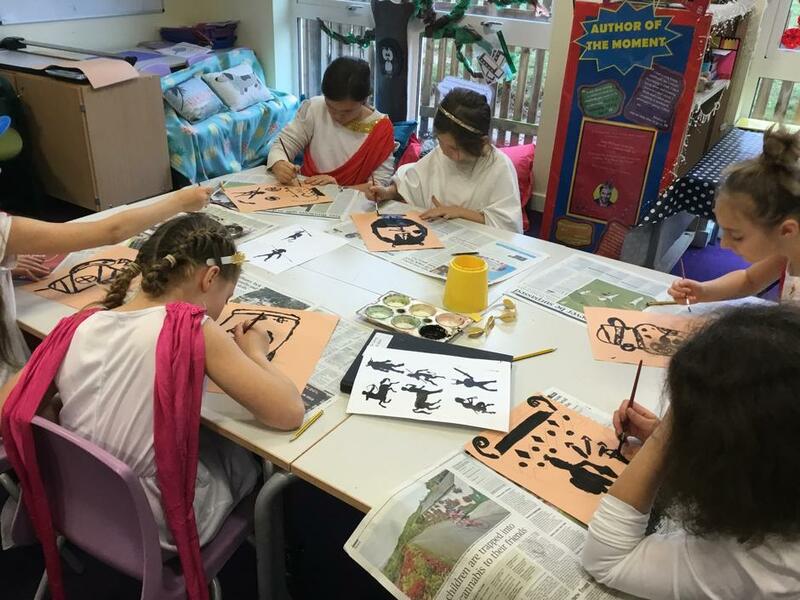 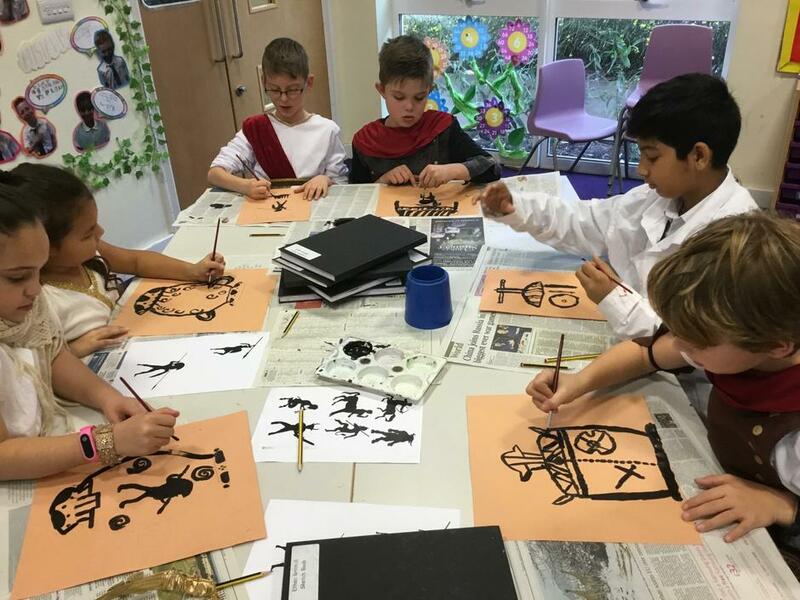 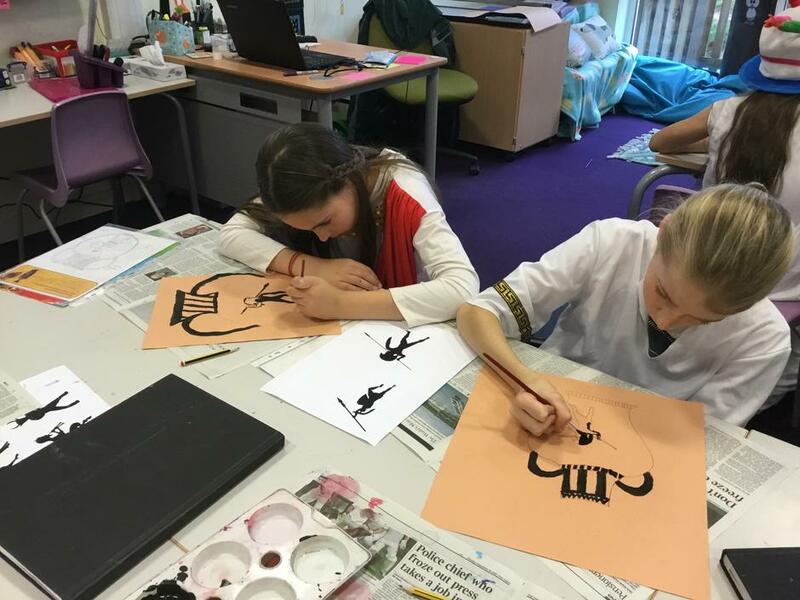 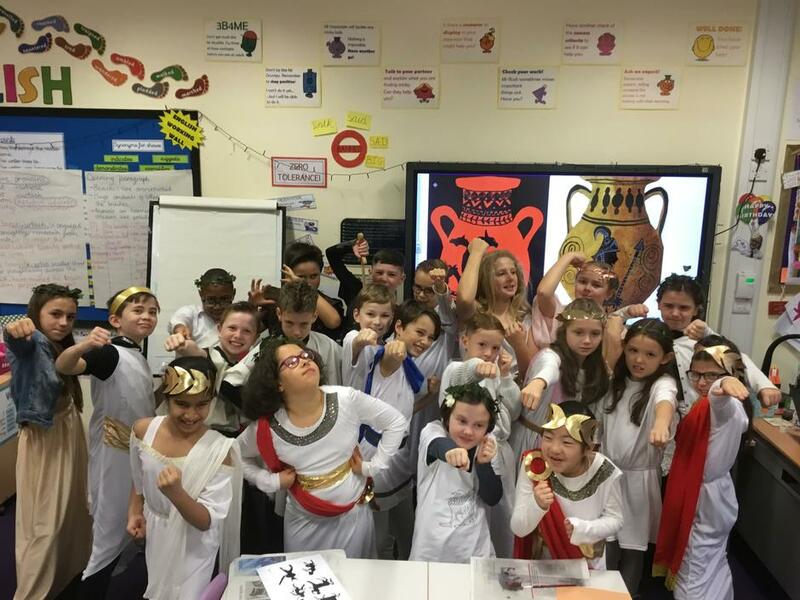 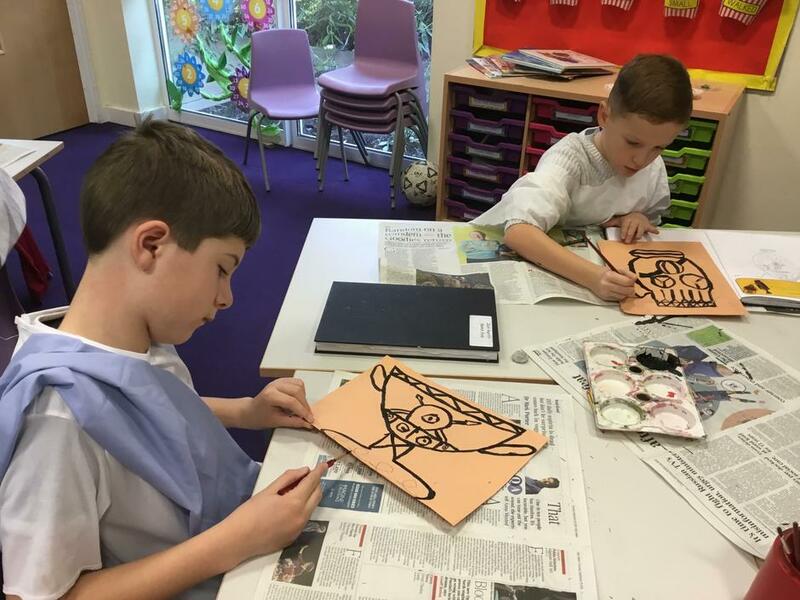 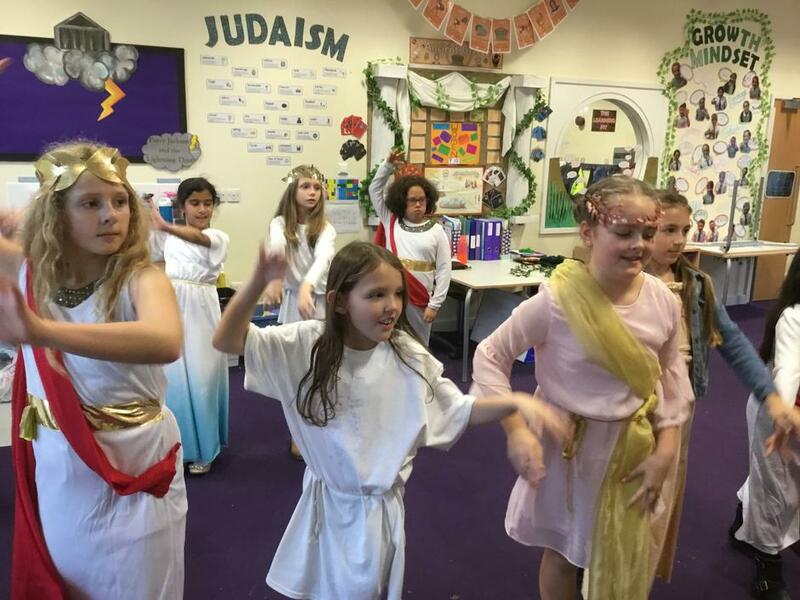 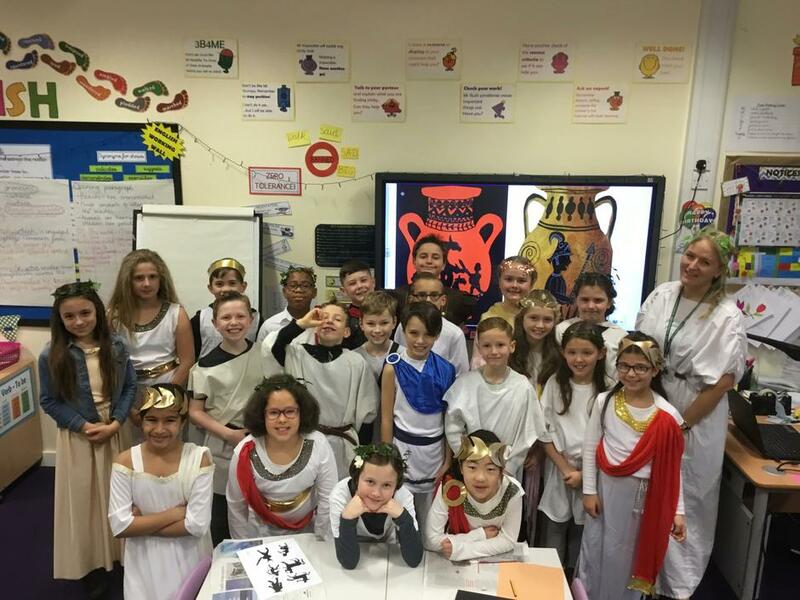 Year 5 enjoyed an Ancient Greek day. 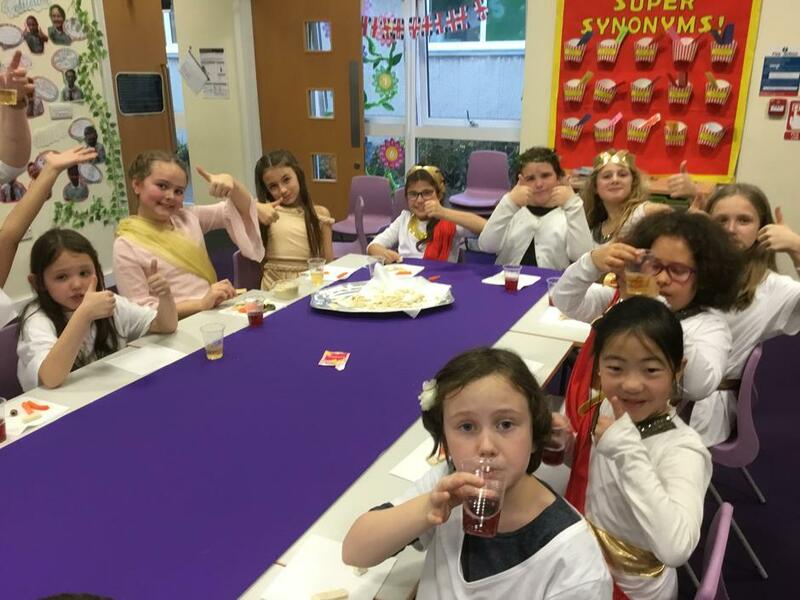 We all dressed up for the occasion! 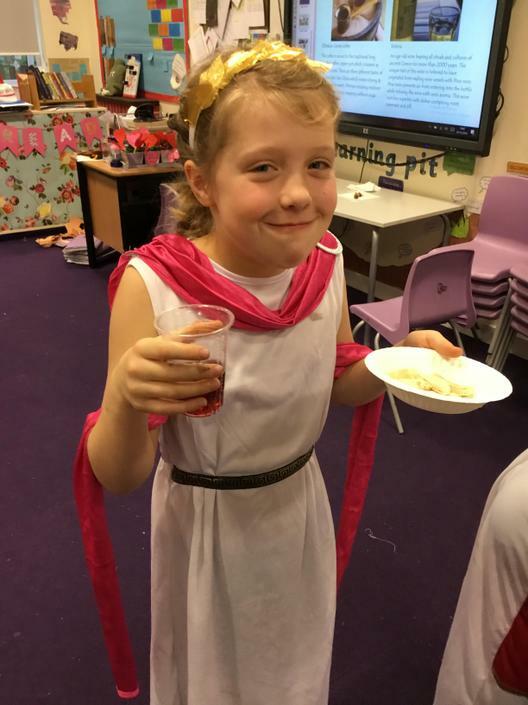 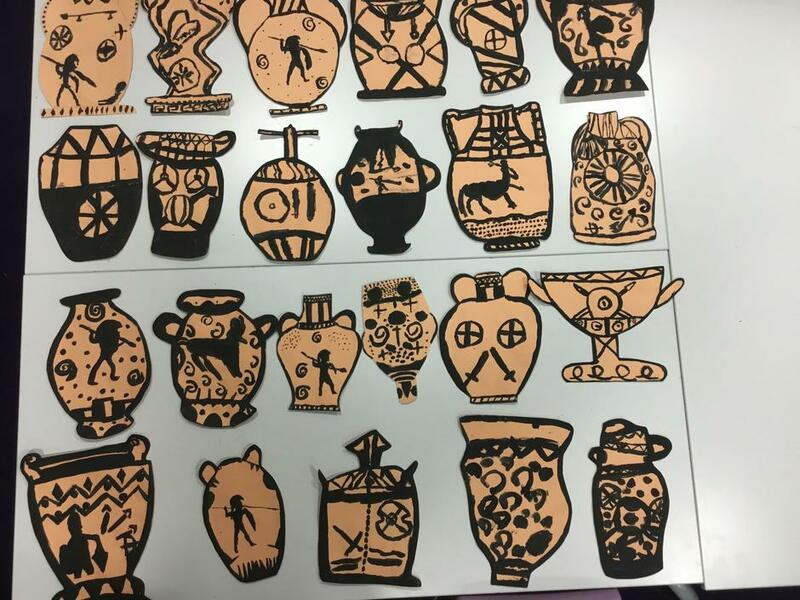 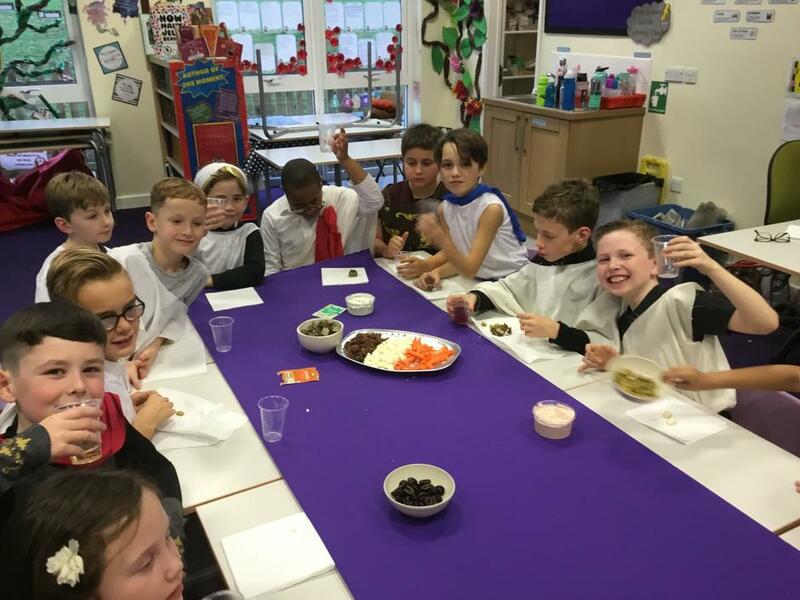 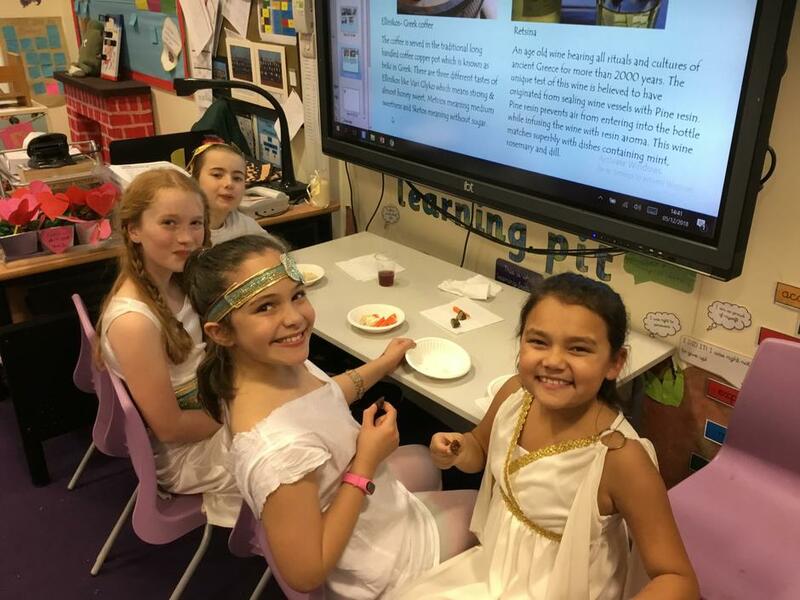 We did many activities throughout the day, including designing a Greek pot, Greek theatre, Greek dancing and to top it off we had a Greek feast! 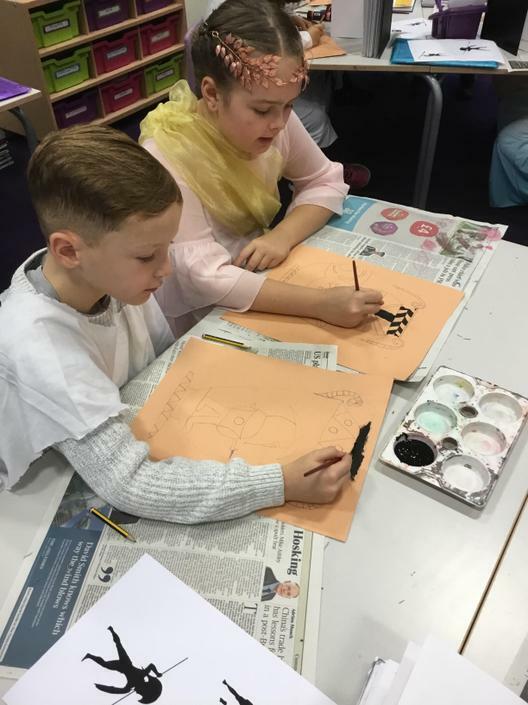 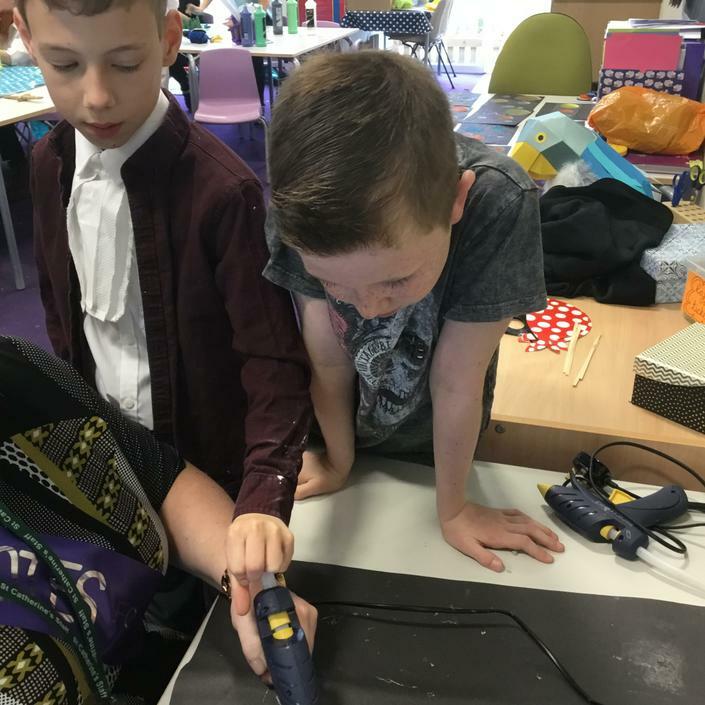 Have a look at our pictures to see what we got up to! 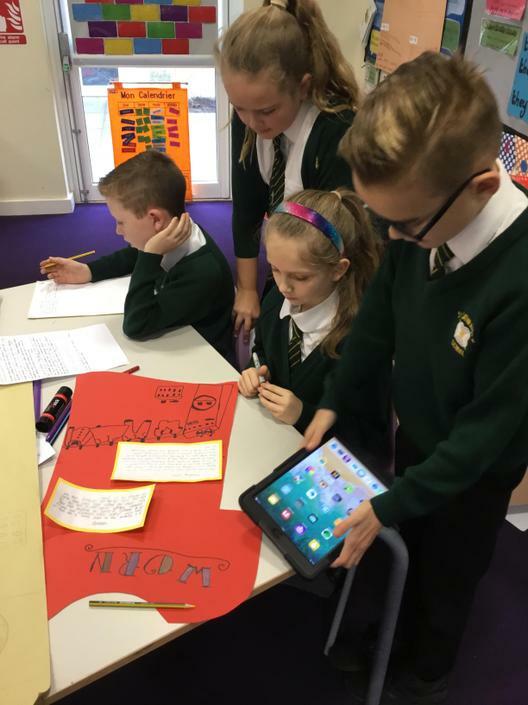 As part of our work for Remembrance Day we watched a short film 'Beyond the Lines.' 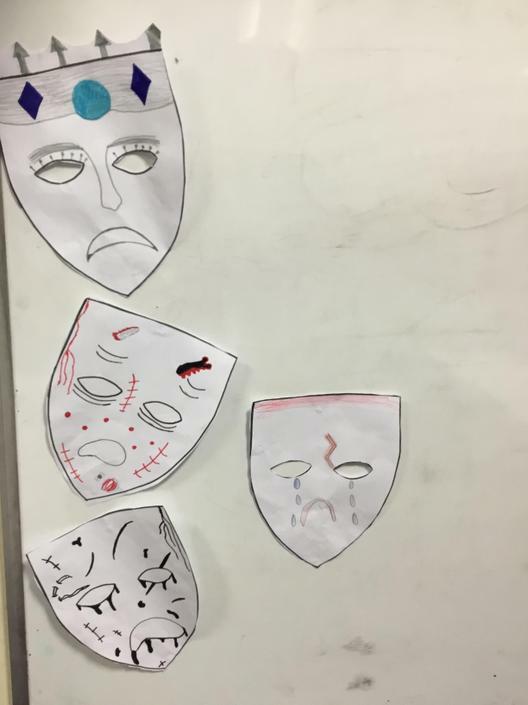 We used this as inspiration to create poetry and art around the topic. 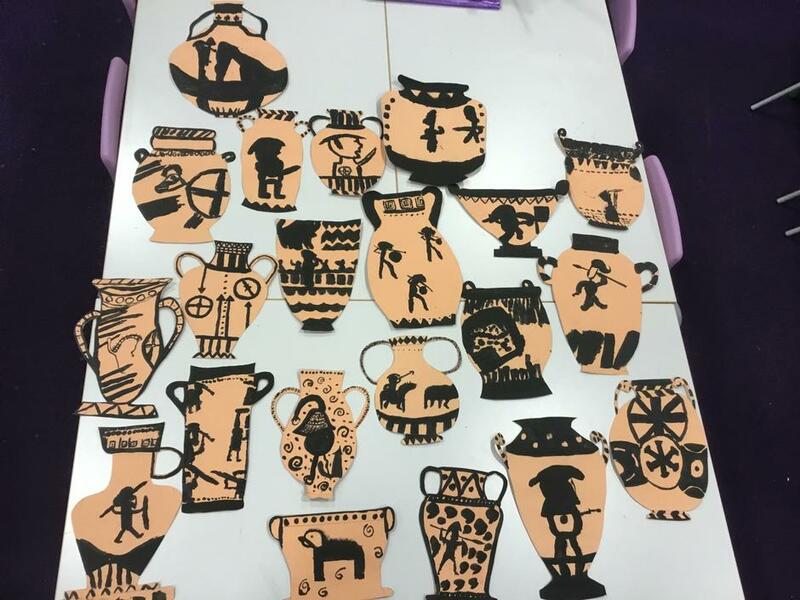 Look at the beautiful artwork we created in 5O and 5E! 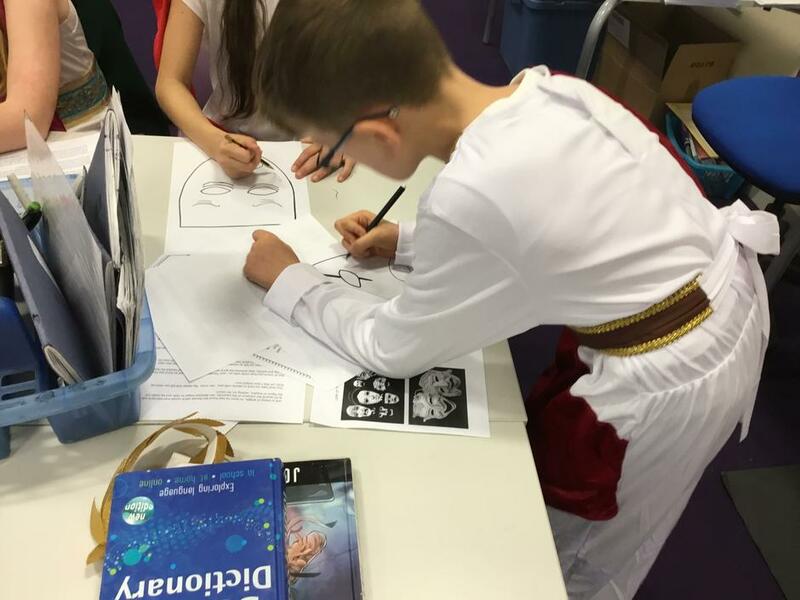 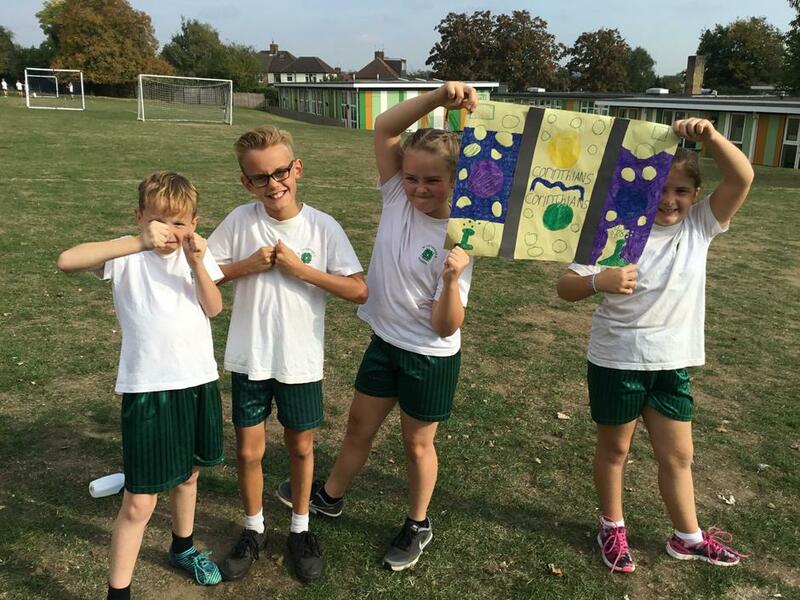 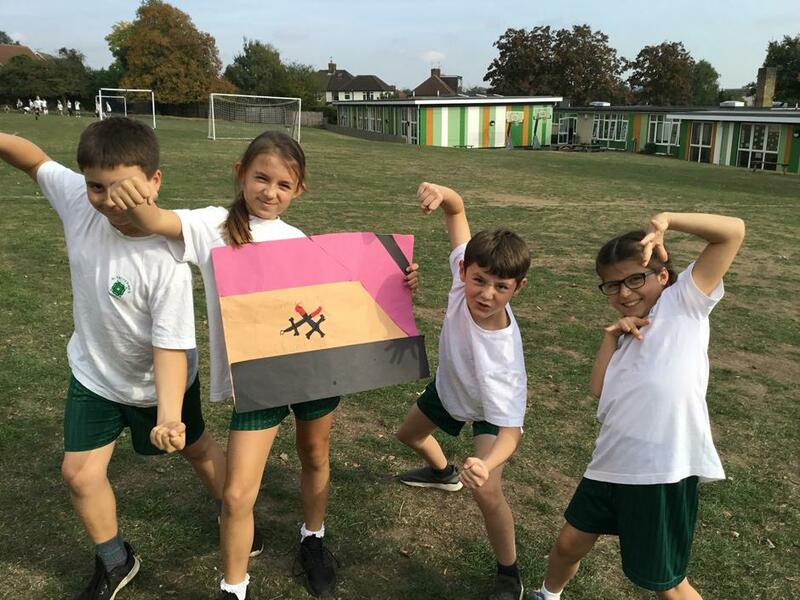 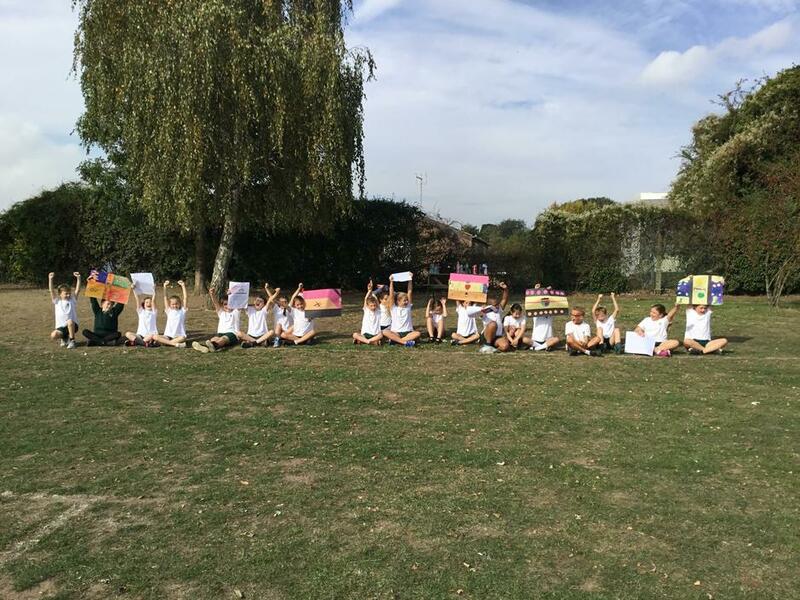 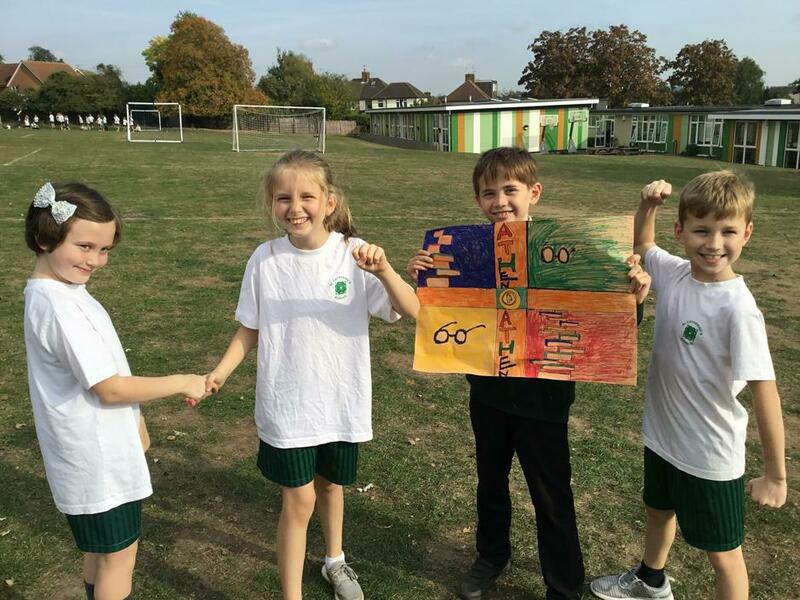 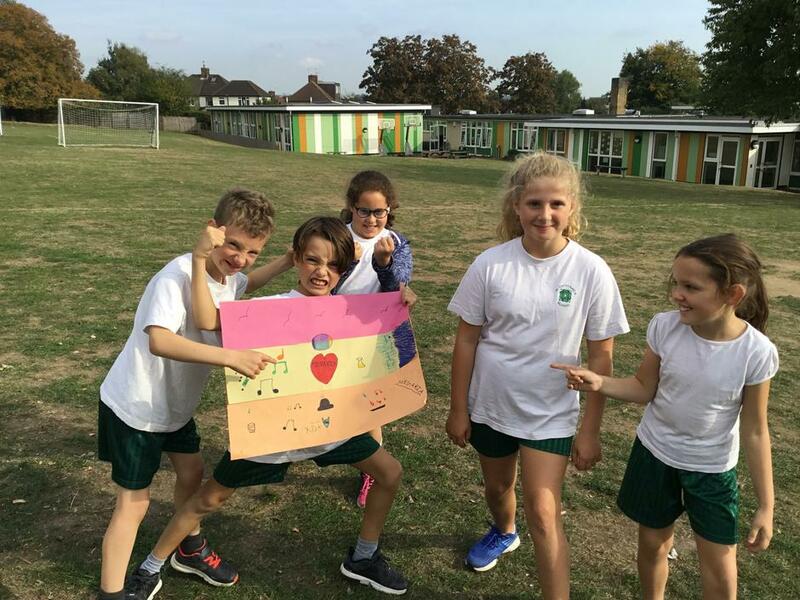 Year 5 took part in a Greek Olympics last week. 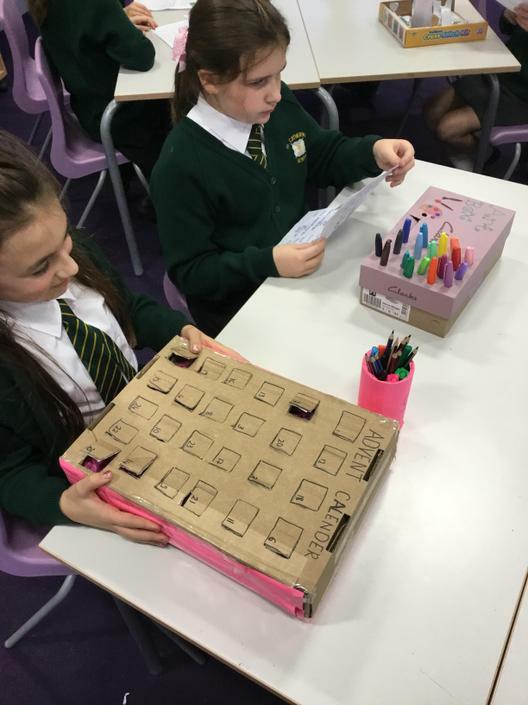 Each group was assigned their own city state. 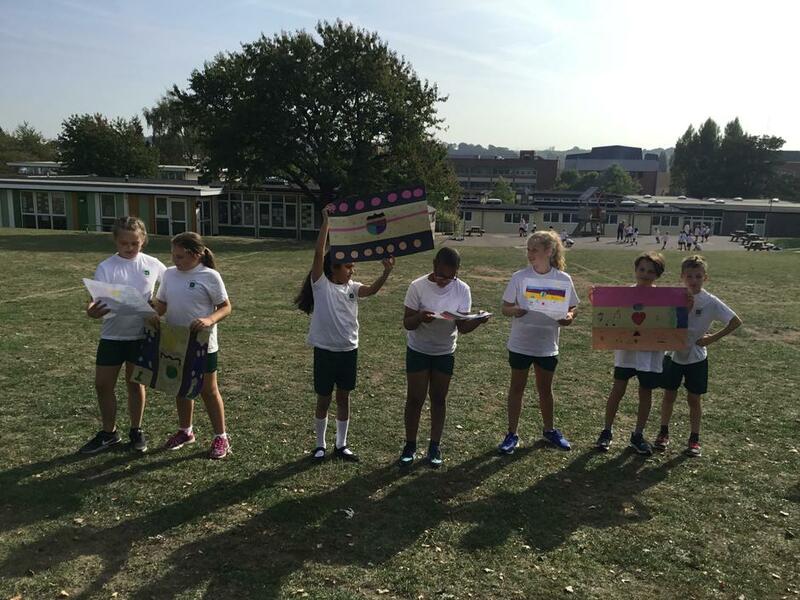 They had to research their city state, design a flag to represent their values and write an oath to be read out at the opening ceremony. 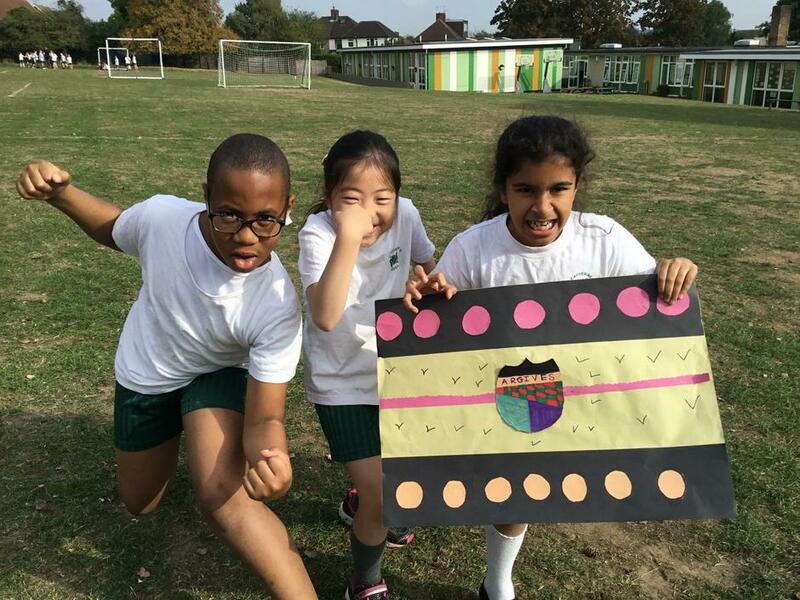 Events included chariot racing, discus, javelin, the stade race (sprint), the diaulos (long distance), wrestling (arm wrestling!) 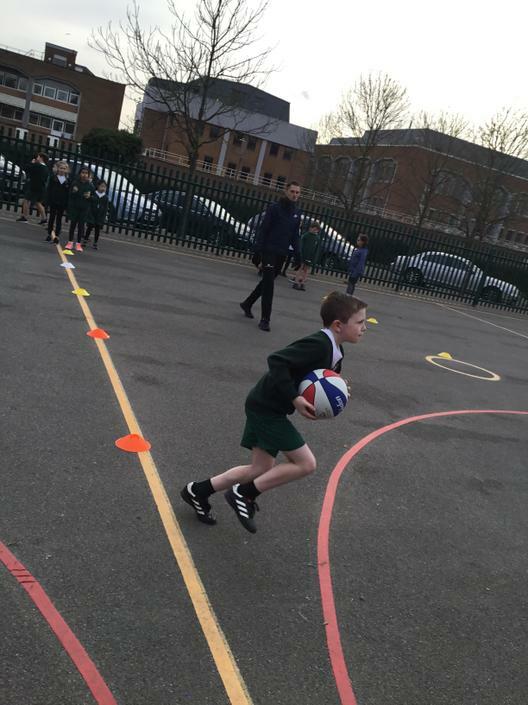 and long jump. 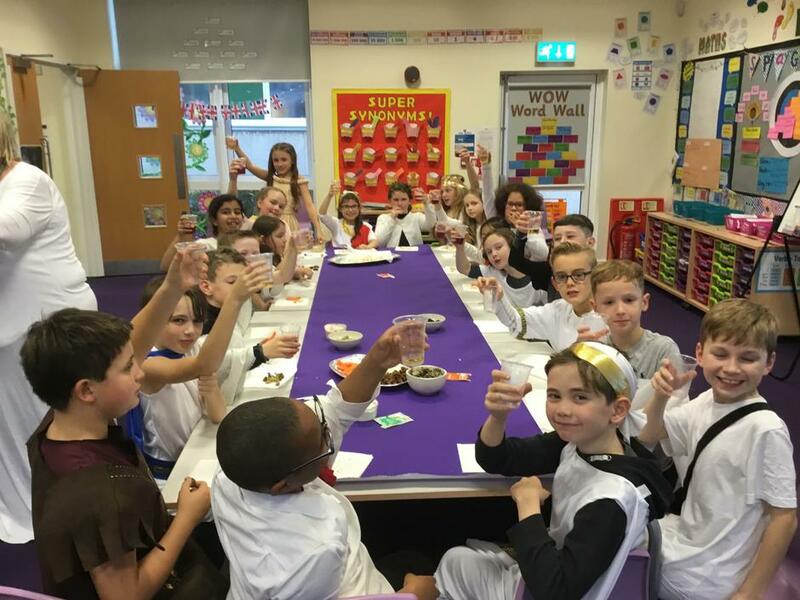 A super time was had by all and the Corinthians were the overall champions! 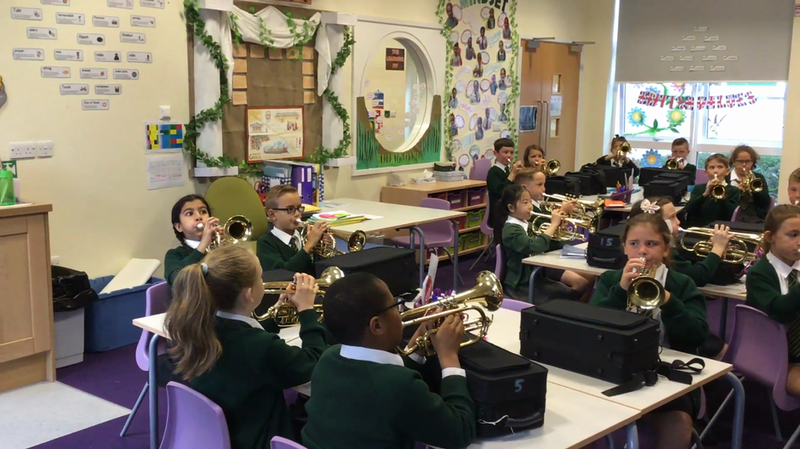 Year 5 have started learning to play the cornets with Mr Peach. 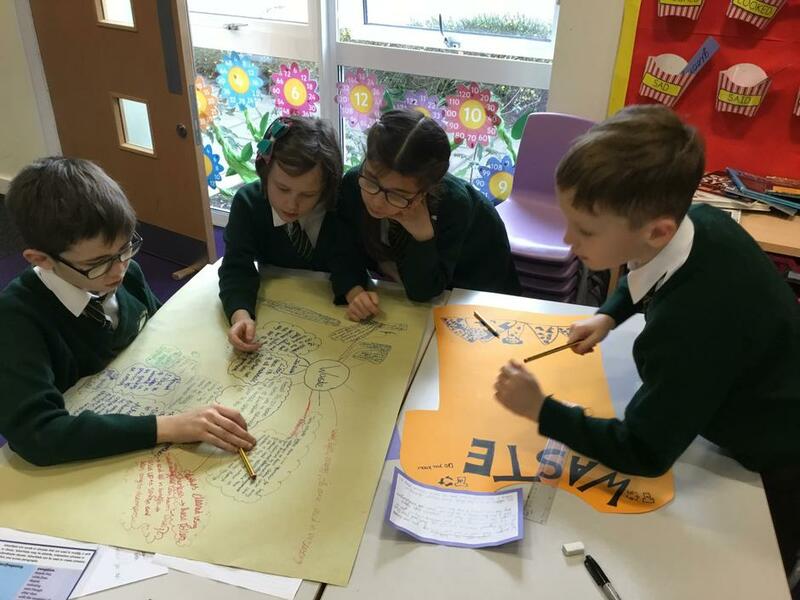 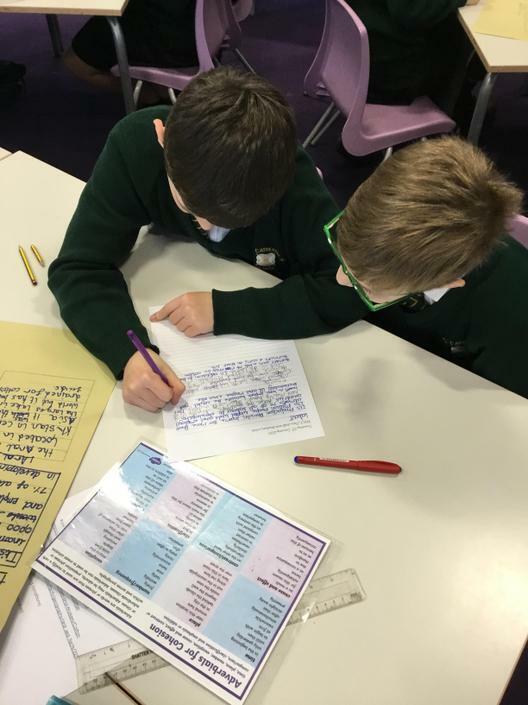 Take a look at how 5E are getting on so far!